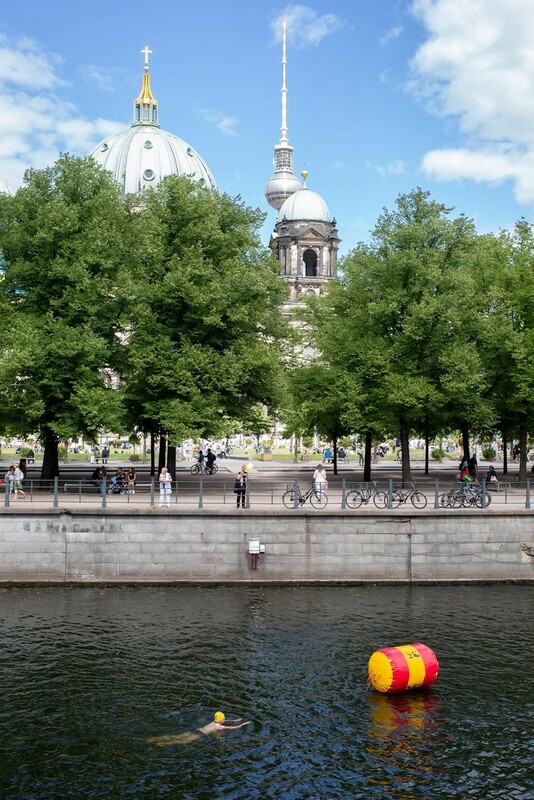 View of pool area towards Dom, Lustgarten and Castle. 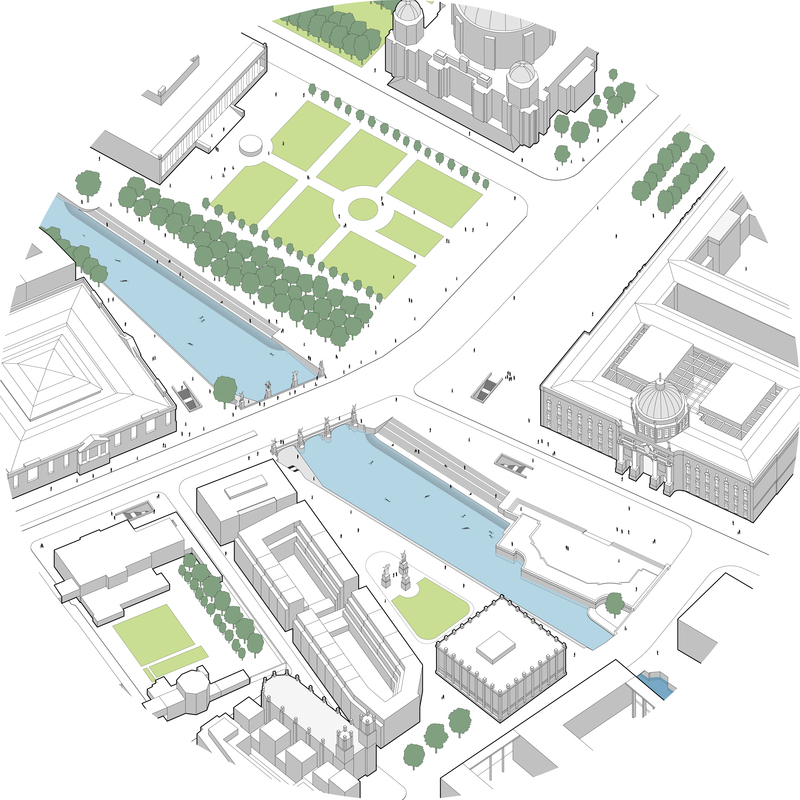 Segment B: Isometic view of filter basin along Friedrichsgracht. 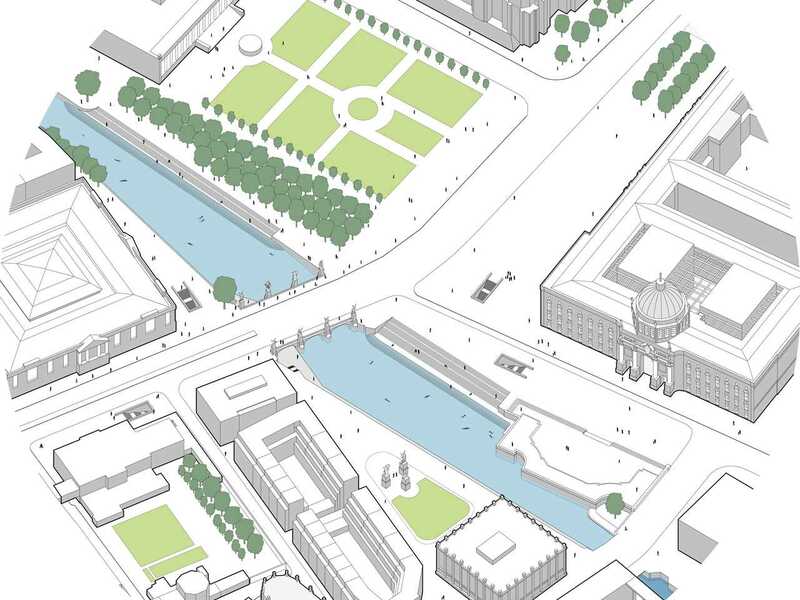 Segment A: Isometric view of swimming pool area at Lustgarten. 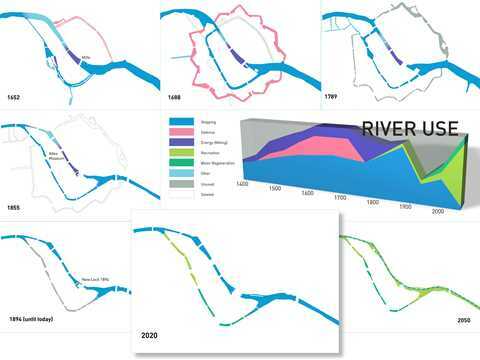 Segment C: Isometric view of renaturized uppermost section of the river. 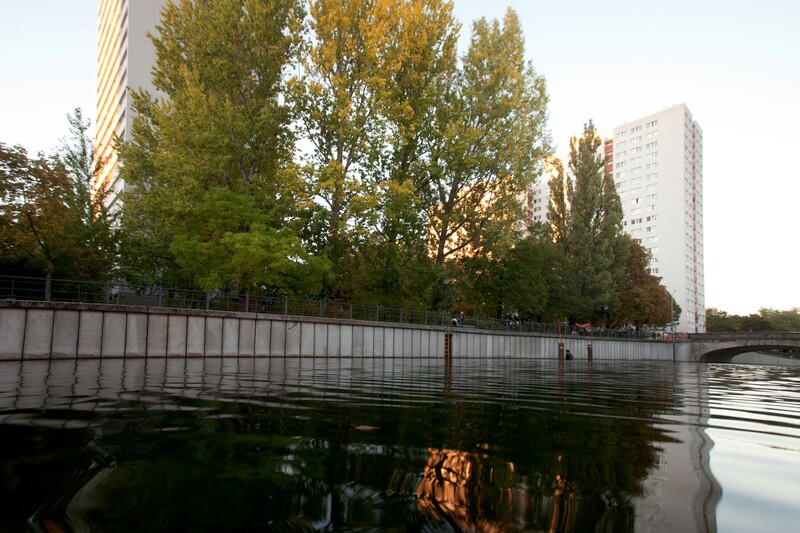 View of filter basin along Friedrichsgracht. 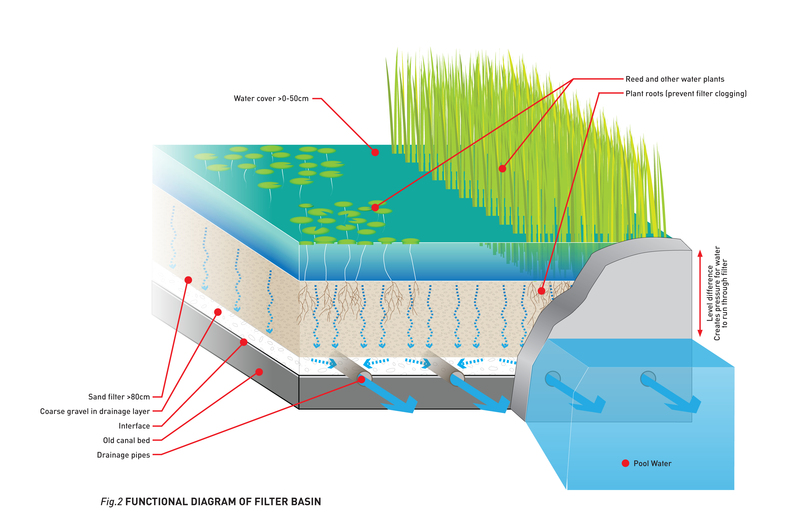 Functional diagram of filter basin. 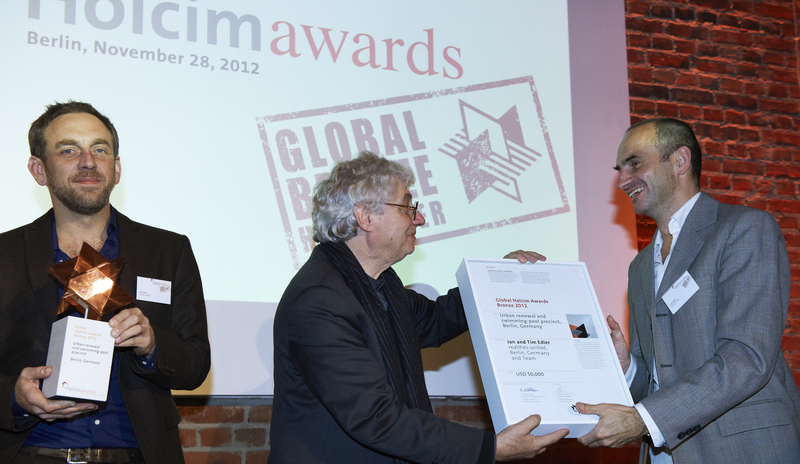 Presentation of the Global Holcim Awards Bronze 2012 (l-r): Jan Edler, architect from realities:united and winner of the Global Holcim Awards Bronze 2012 holds trophy while Mario Botta, renowned architect and member of the jury congratulates Tim Edler, architect from realities:united and winner of the Global Holcim Awards Bronze 2012. 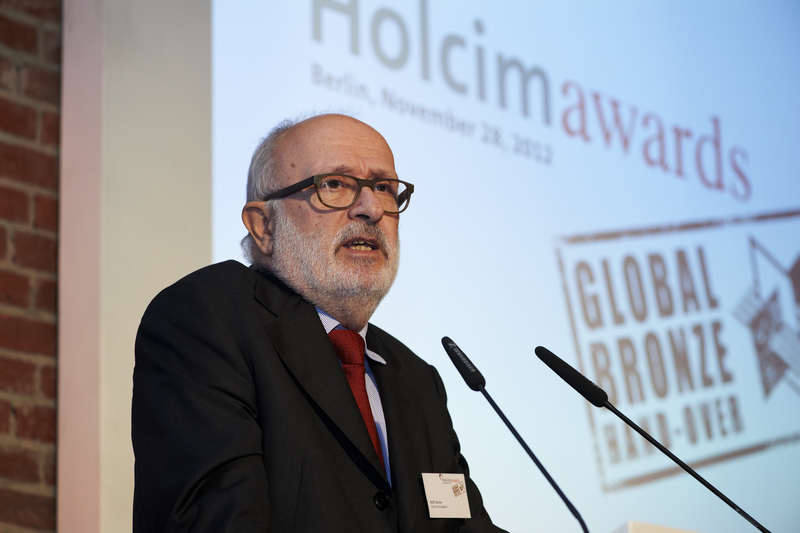 Presentation of the Global Holcim Awards Bronze 2012 (l-r): Rolf Soiron, Chairman of the Holcim Foundation and Chairman of Holcim Ltd; Jan Edler, winning architect, realities:united; Mario Botta, renowned architect and member of the jury; Regula Lüscher, Senate Building Director of the City of Berlin; Tim Edler, winning architect, realities:united. 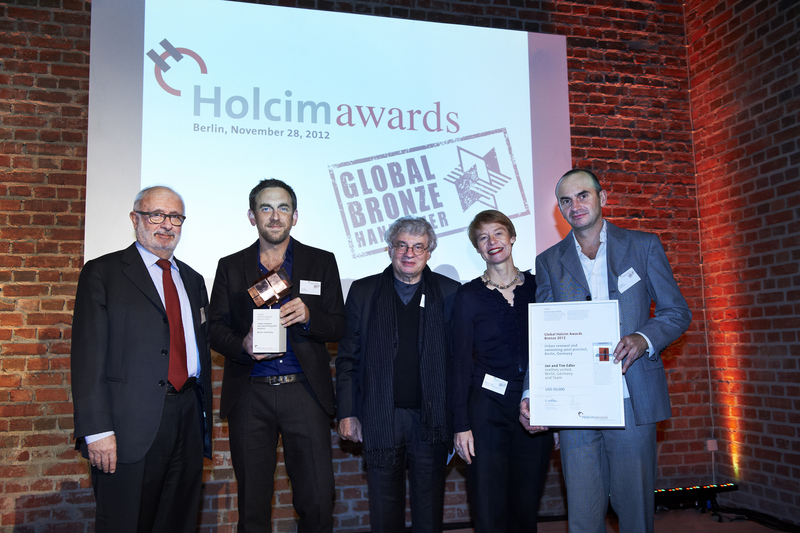 Handover of the Global Holcim Awards Bronze 2012 trophy (l-r): Rolf Soiron, Chairman of the Holcim Foundation and Chairman of Holcim Ltd congratulates Jan Edler, architect from realities:united and winner of the Global Holcim Awards Bronze 2012. 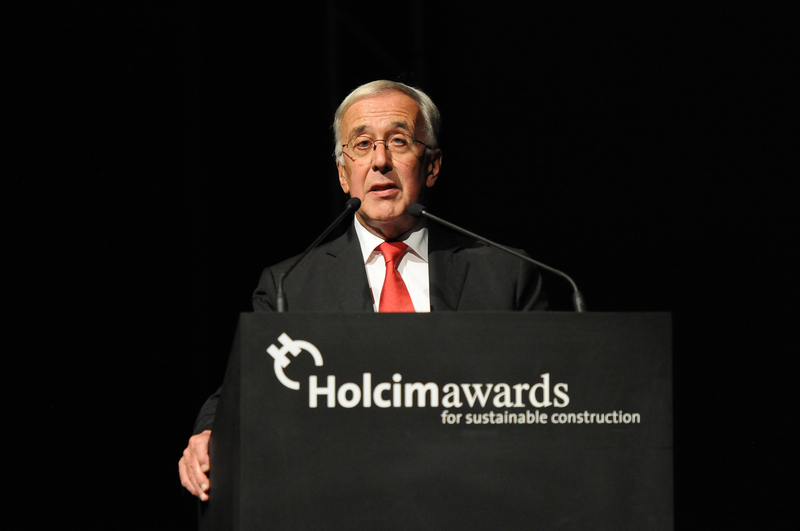 At the Global Holcim Awards Bronze 2012 handover reception (l-r): Rolf Soiron, Chairman of the Holcim Foundation and Chairman of Holcim Ltd and Mario Botta, renowned Swiss architect and member of the Global Holcim Awards 2012 jury. 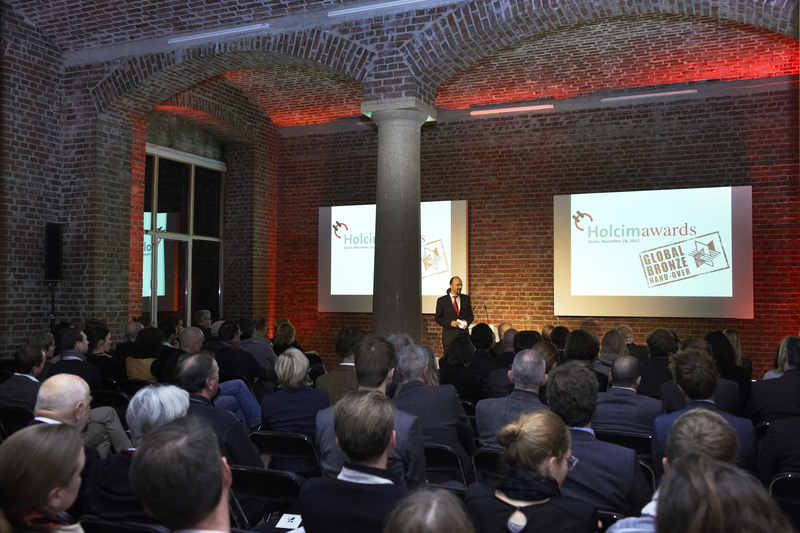 Tim Edler presents the Global Holcim Awards Bronze 2012 winning project at the “Panoramadeck” of the Emporio Tower in Hamburg during the launch of the book, Machen! 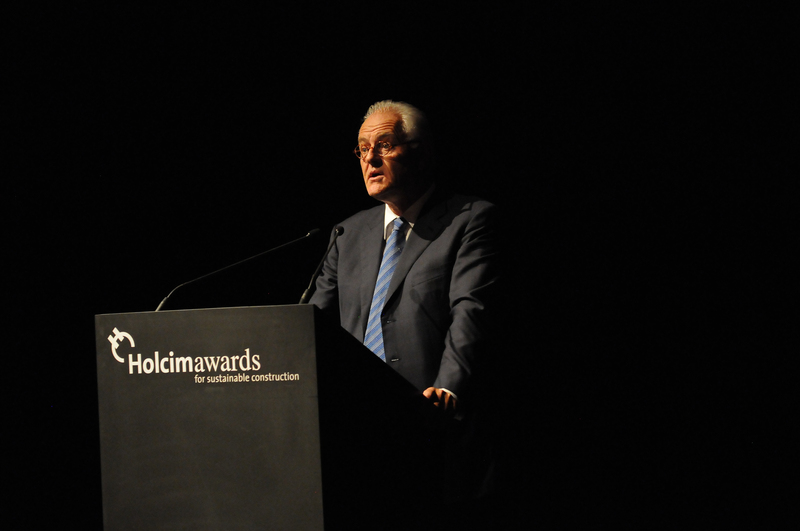 on April 25, 2012. Panorama Flussbad - right side. 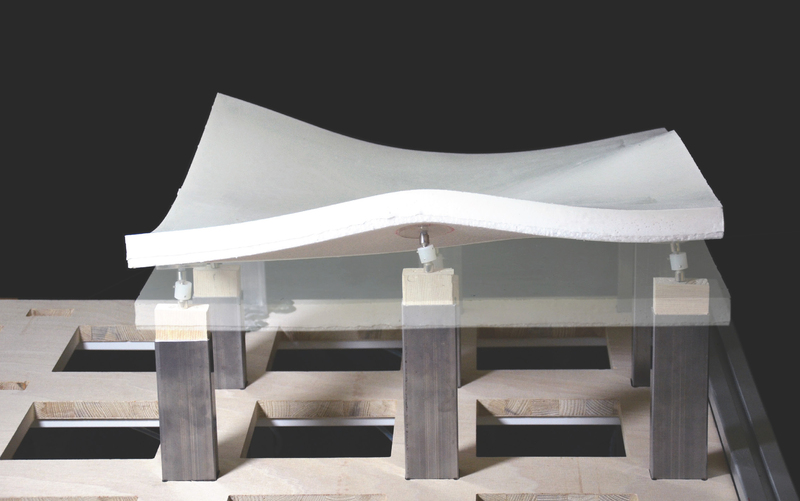 Details water treatment and pool. 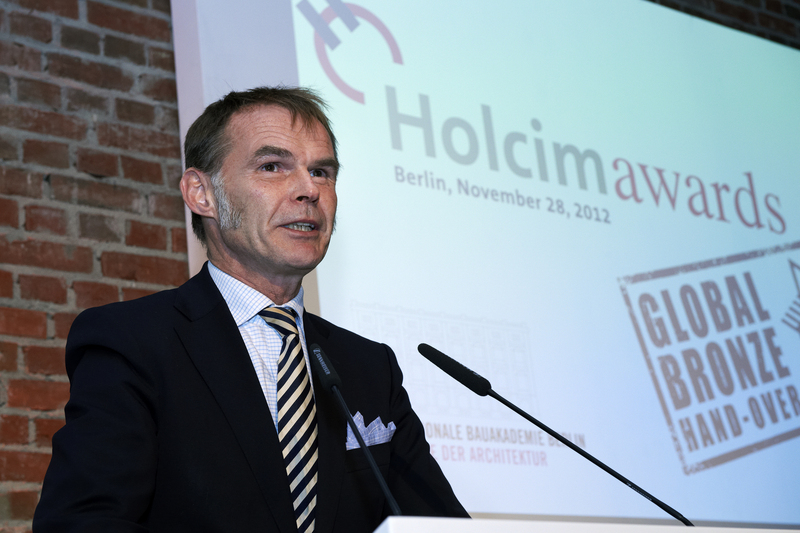 Holcim Awards Gold 2011 winner – Tim Edler, realities united, Germany: Urban renewal and swimming-pool precinct, Berlin, Germany. 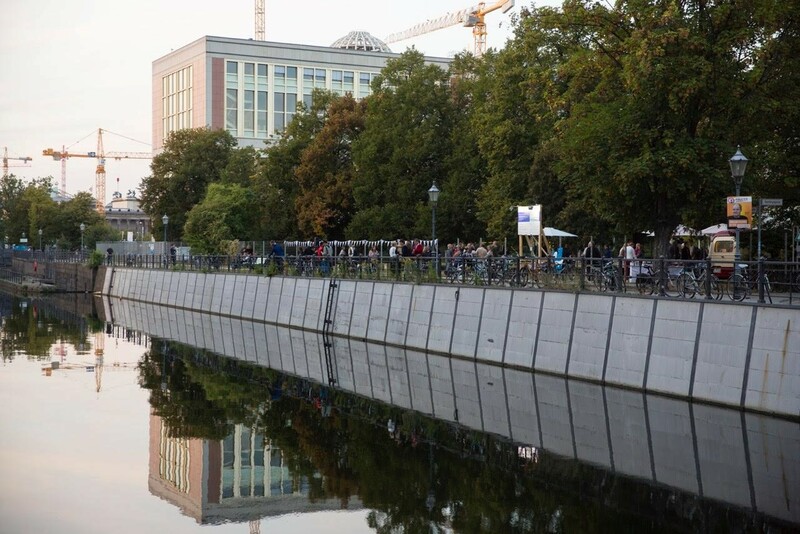 The Flussbad project is located in the center of Berlin and transforms an unused arm of the River Spree into a natural 745m “swimming pool”. The facility is the equivalent of seventeen Olympic swimming pools with an average width of 28.8m and features a 780m-long reed bed filtration system. The Flussbad will have a direct and strong impact on the quality of urban life and will make a positive ecological contribution through the remediation of the city’s waterways. 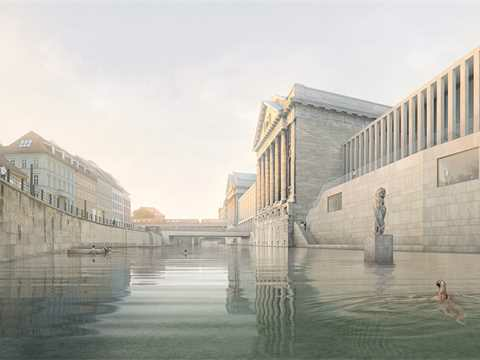 Swimming area along the Museum Island with James Simon Gallery, Pergamon Museum and Bode Museum (Visualization). 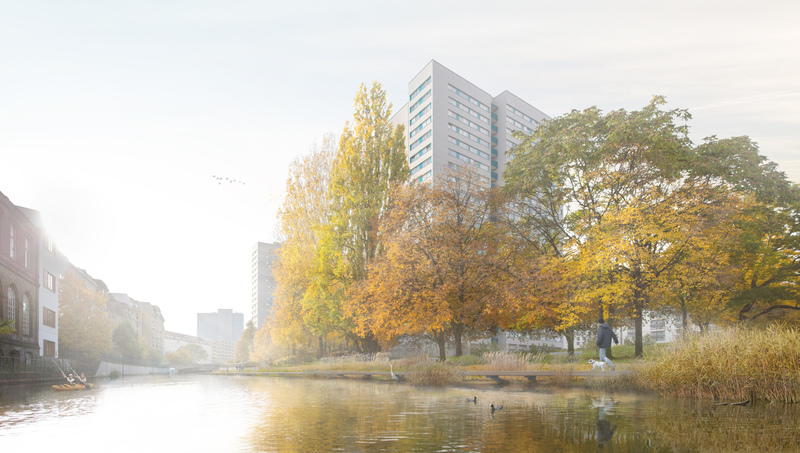 © 2016 realities:united for Flussbad Berlin e.V. 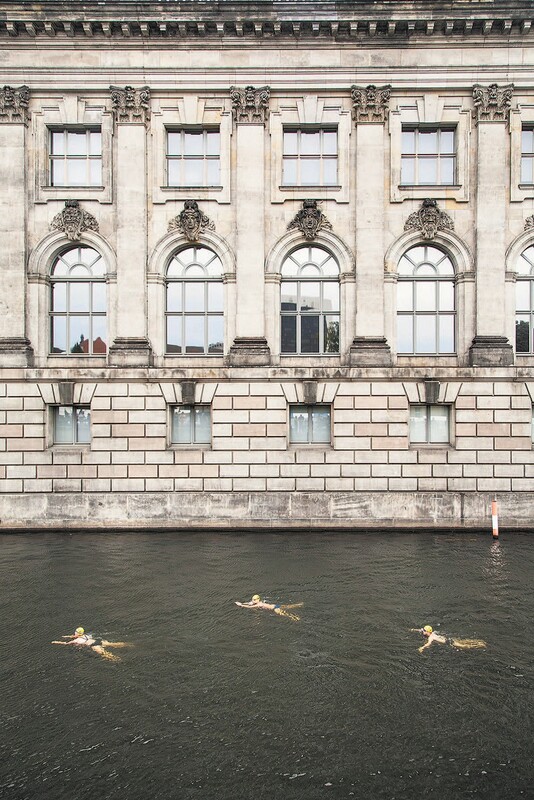 First Flussbad Pokal swimming competition (2015) - three swimmers in front of the backdrop of Pergamon Museum. © 2015 Annette Hauschild/Ostkreuz for Flussbad Berlin e.V. 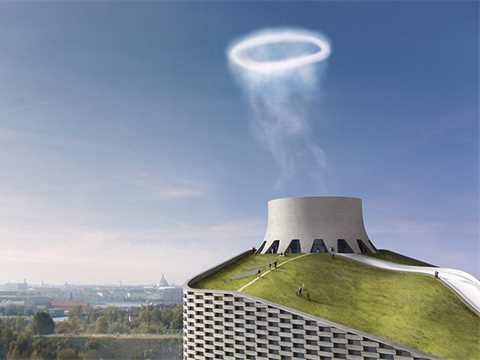 BIG Vortex Smoke Ring Emitter for Amagerforbrænding waste-to-energy plant in Copenhagen. 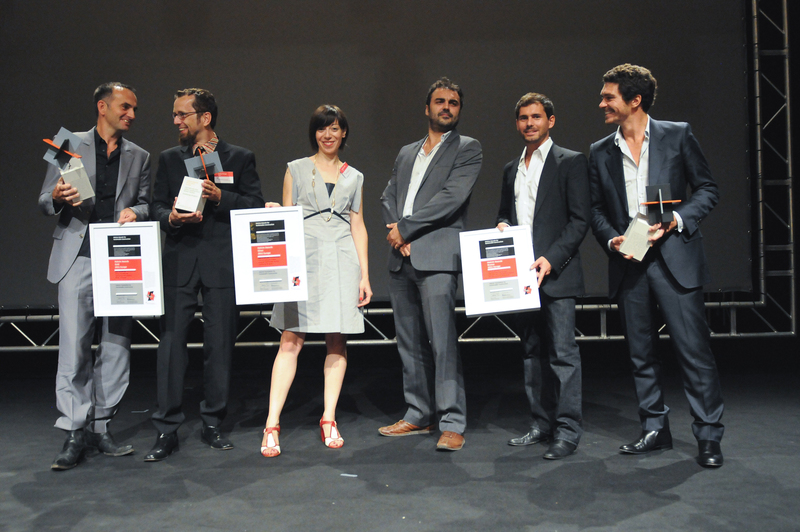 © 2011-2016 realities:united. Opened in 12/2016 the C3A public Art Centre by Nieto Sobejano Architects features a dynamic façade design by realities:united. © 2012-13 Roland Halbe by courtesy of Nieto Sobejano Arquitectos. 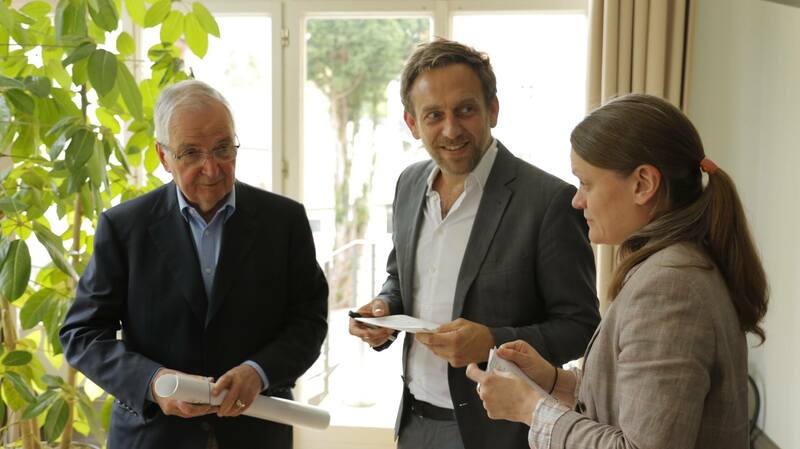 L'Architecture d'Aujourd'hui (‘A’A’) discussed their iconic Flussbad project with Jan and Tim Edler from Berlin-based realities:united studio. 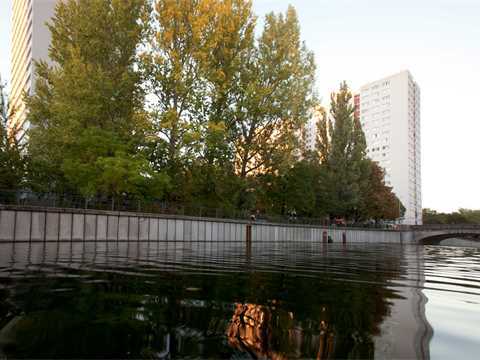 The architects won two LafargeHolcim Awards (LafargeHolcim Award Gold for Europe in 2011, Global LafargeHolcim Award Bronze in 2012) for their project located in the centre of Berlin that aims to transform an unused arm of the River Spree into a natural “swimming pool”. 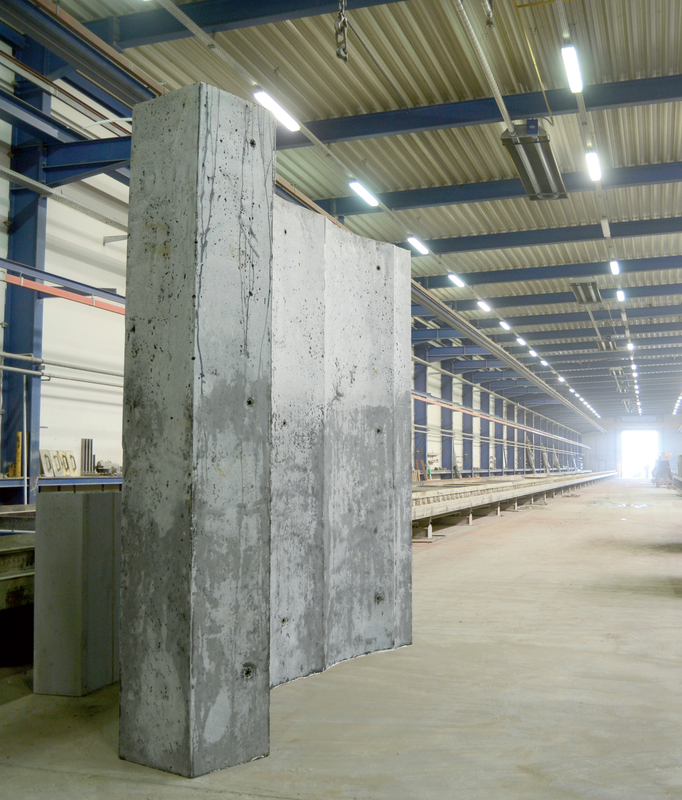 The facility will be the equivalent of seventeen Olympic pools! 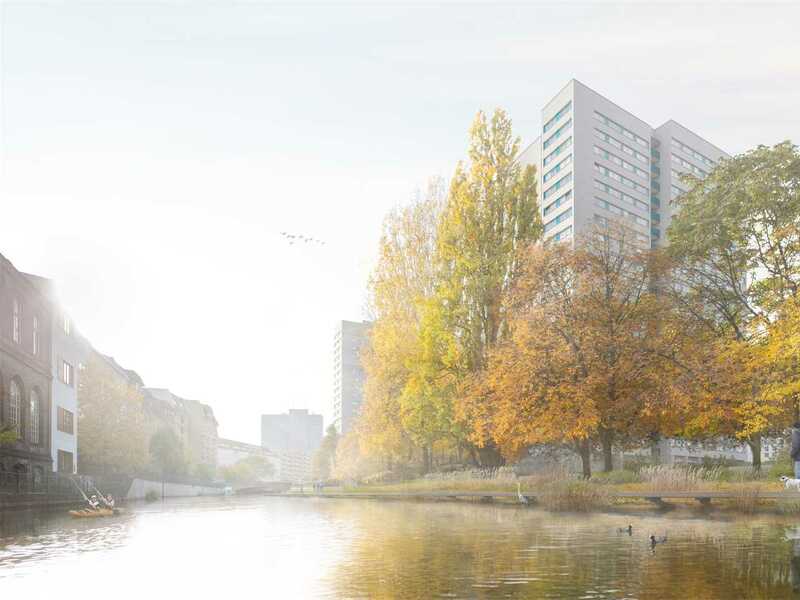 The Flussbad will have a direct and strong impact on the quality of urban life and will make a positive ecological contribution through the remediation of the city’s waterways. 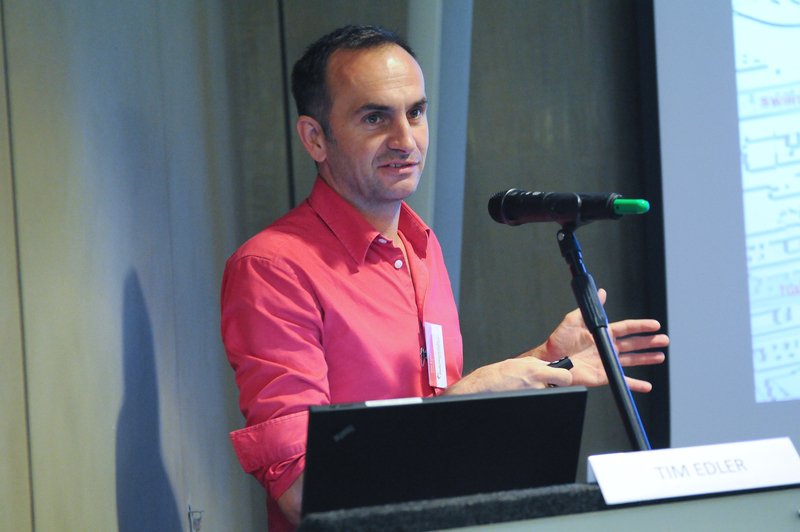 Jan Edler answered our questions and told us more about the evolution of the Flussbad project and the impact of the Award on his work. 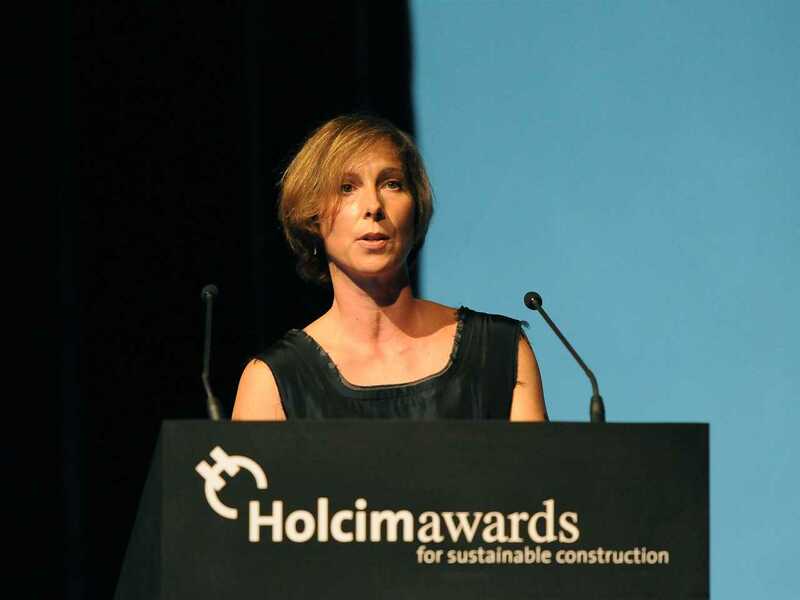 ‘A’A’: Could you describe the project you submitted that won regional and global the LafargeHolcim Awards for Sustainable Construction? 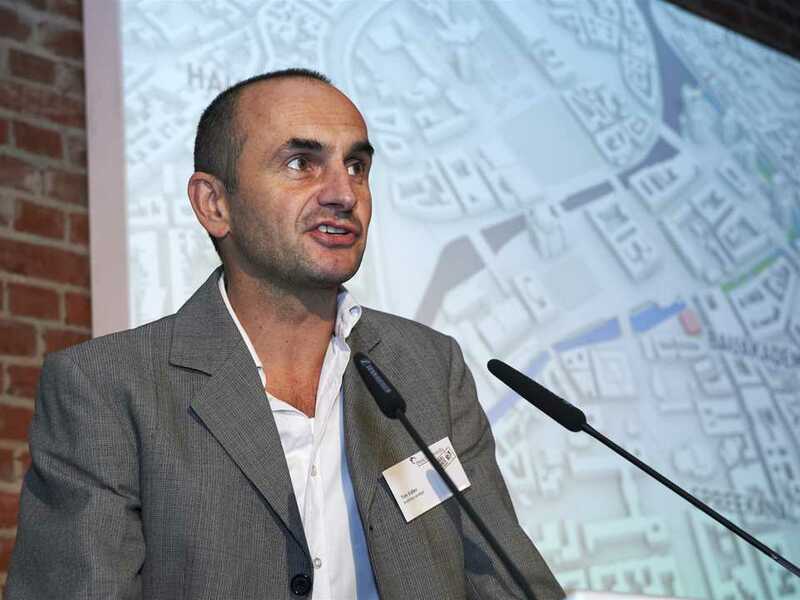 Jan Edler: Flussbad Berlin is an urban development project that we initiated with our studio in the late 1990s. We seek to transform the Spree canal in the heart of Berlin into a clean and accessible place for the general public to use in new ways. 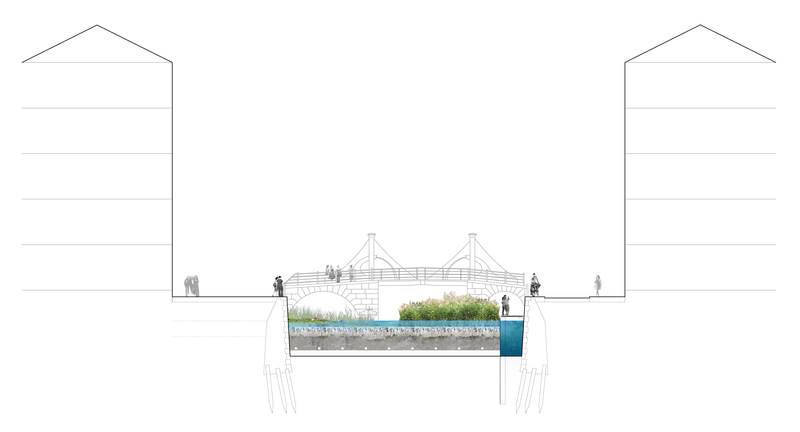 The project, located on a 1.8 kilometre stretch of the canal along Museum Island, is divided into three basic sections: an ecological resting space for flora and fauna, an extensive natural plant filter and an 840-metre natural swimming area. 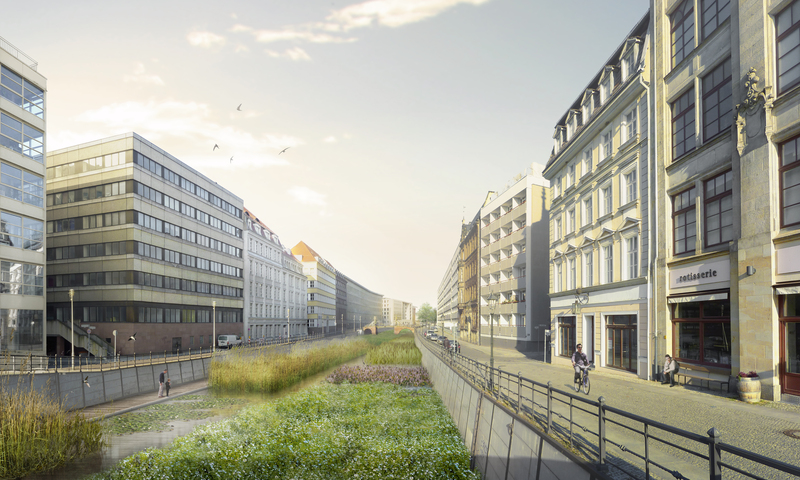 It will give Berliners the opportunity to enjoy a prominent slice of the inner-city Spree. 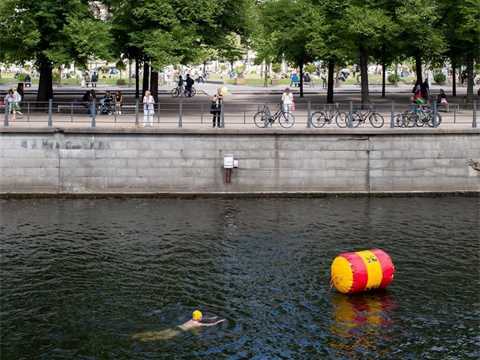 In other words, a water body that has been too polluted for recreational swimming and has therefore remained largely unused for more than 100 years will be “taken back” by the residents of Berlin and become a public, non-commercial recreational site for both inhabitants and visitors. 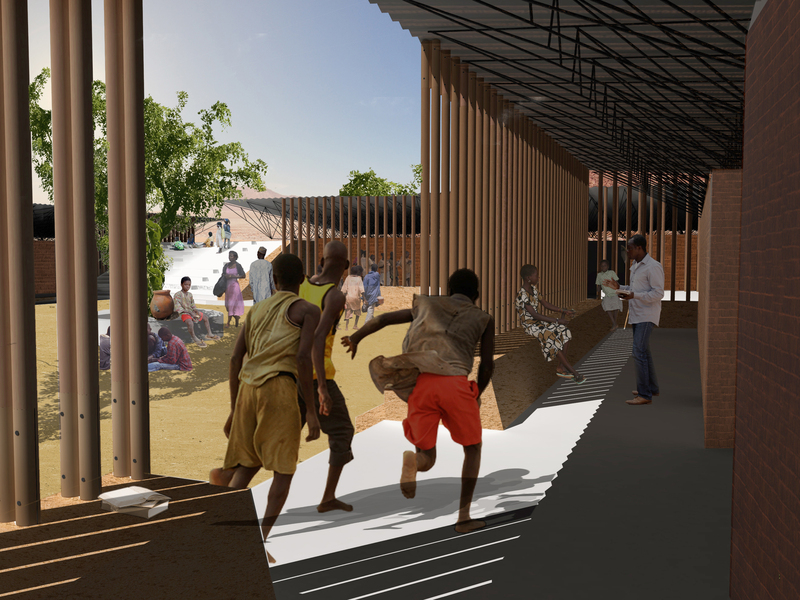 The project is designed to create a new facility for all social groups to enjoy the river setting in their everyday lives. 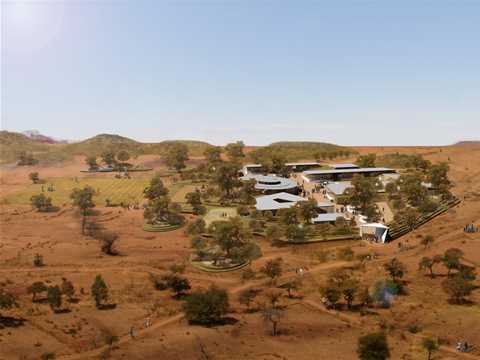 The site will act as a counterpart and complement to the world-famous museums and historical buildings located in the area. 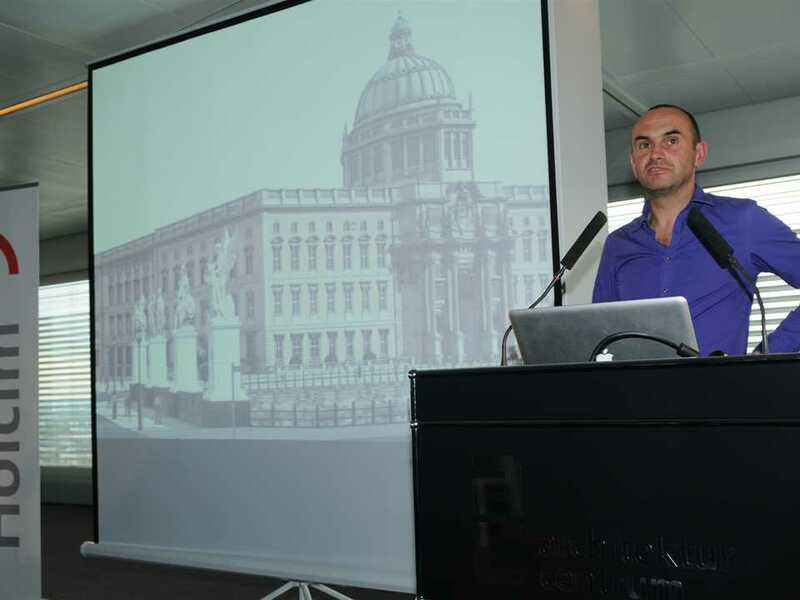 Indeed, by introducing this “social element”, the project will contribute to ensuring that the centre of Berlin remains vibrant and relevant to its own inhabitants. It will bring the residents of Berlin back into the centre of their city. Berlin’s Museum Island is a UNESCO Cultural Heritage Site and home to world-famous cultural and historical venues. 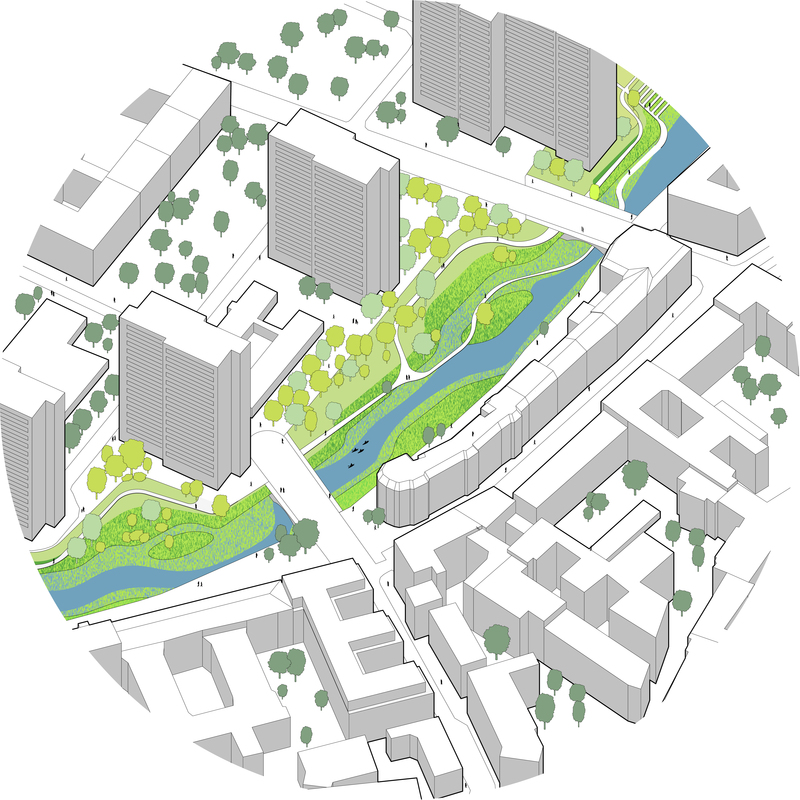 Once the Flussbad project is implemented on the shores of the island, it will create a space that is devoted to the community and invites people to experience directly the benefits of ecological and sustainable urban development. 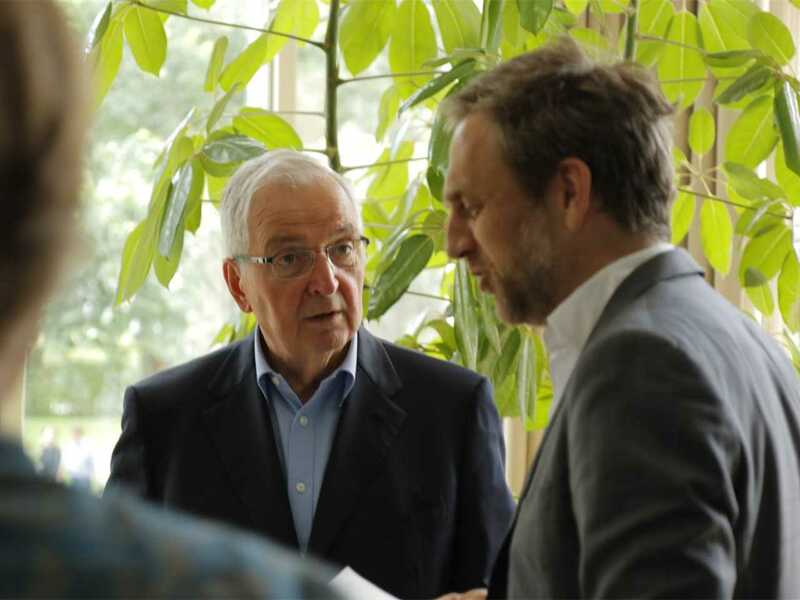 The project will then function as a catalytic of one of the most important social issues and challenges facing the world today. 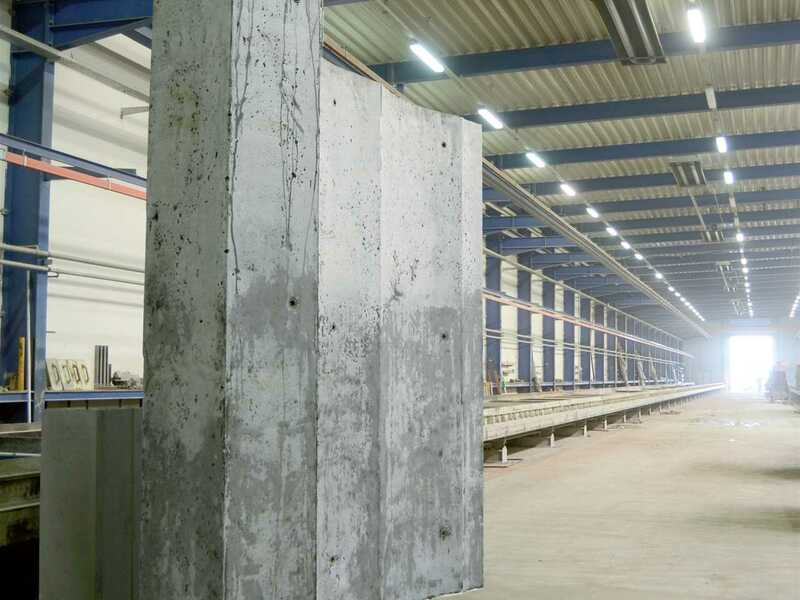 ‘A’A’: What is the current status of this project? Jan Edler: When we published the Flussbad project for the first time in 1998, many critics sneered at the idea and dismissed it as a utopian fantasy. 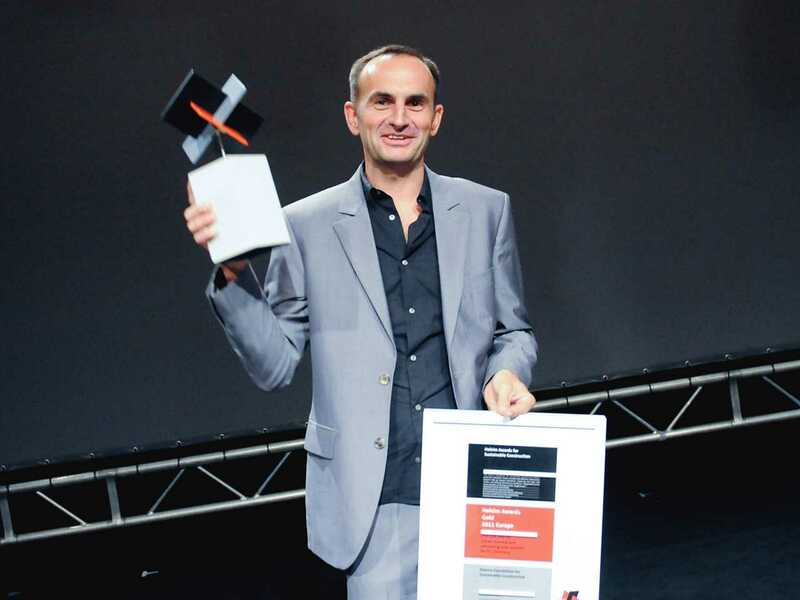 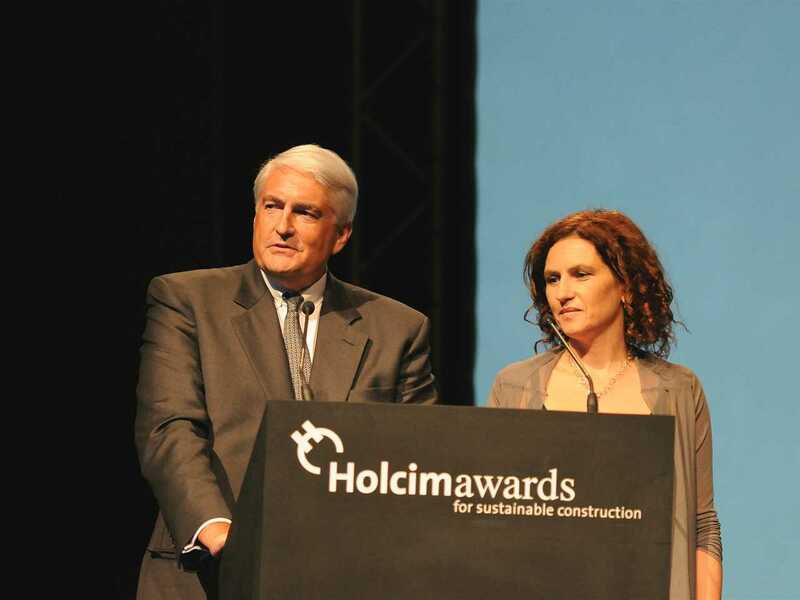 The LafargeHolcim Awards we won (Gold for Europe in 2011 and Global Bronze in 2012) came as distinctions from outside Germany and acted as a game changer. These prizes boosted the project’s public discussion and recognition. 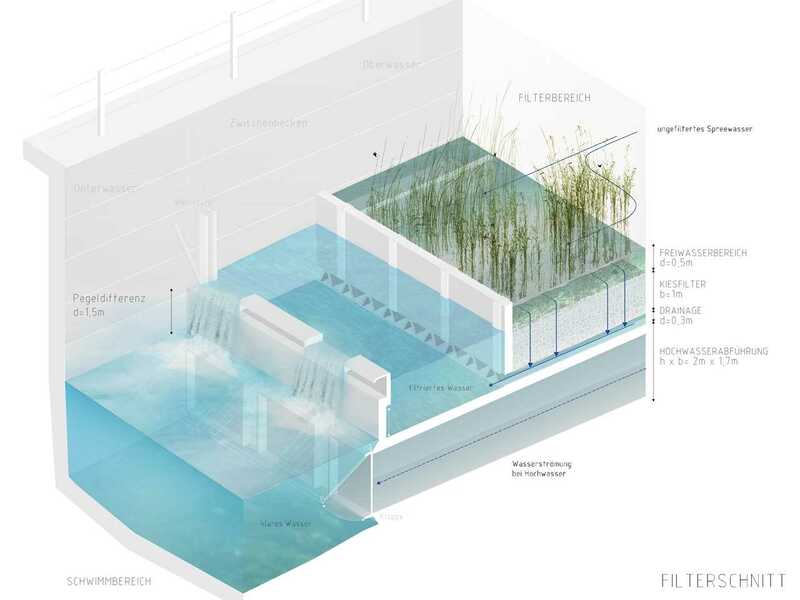 After winning the Global LafargeHolcim Award Bronze in 2012, together with 13 other Flussbad enthusiasts, Tim and I founded Flussbad Berlin in 2012 as a non-profit association to foster the project’s communication and realization. 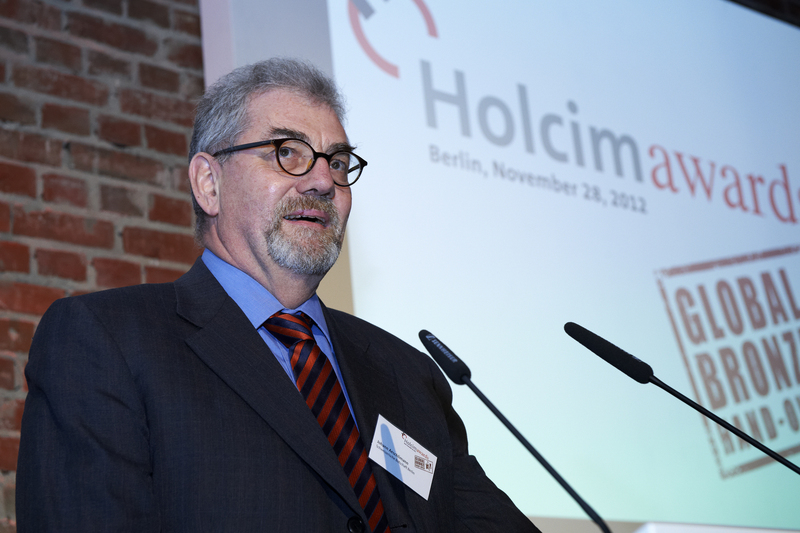 Today the association has over 300 members and 1000 supporters. 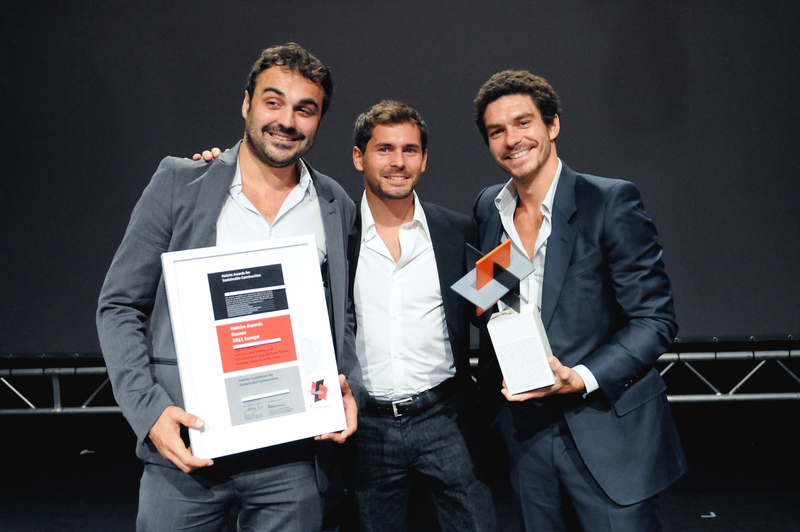 In 2014, we managed to acquire major funding. 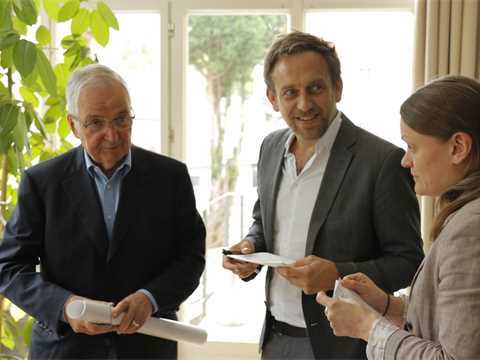 Besides funds by the Lott Foundation Berlin for the production of a technical feasibility study, USD 4.25 million was granted by the German Federal Government and the State of Berlin for the project’s further development and promotion, as part of their “National Urban Development Projects” program. 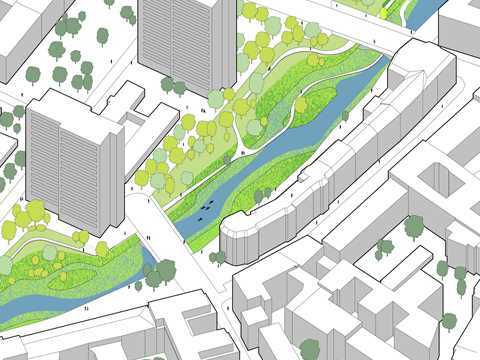 Since November 2016, Flussbad as an urban development project for Berlin’s inner-city centre is officially anchored in the agreement of the Red-Red-Green coalition. 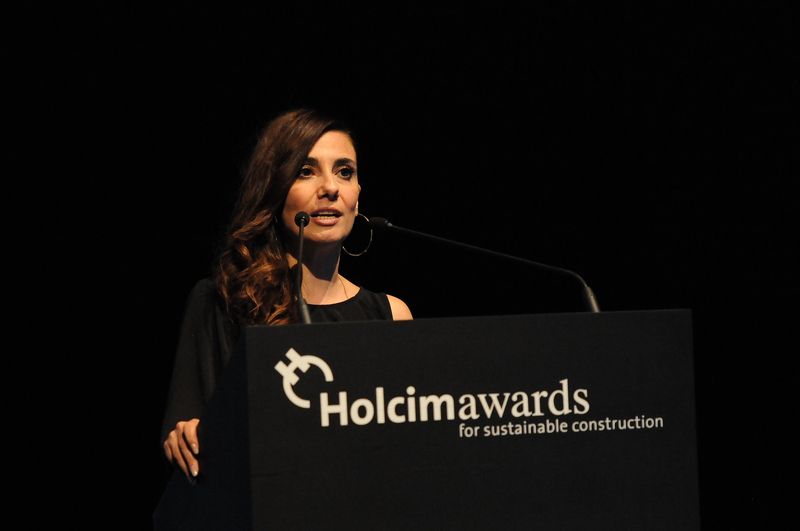 With the association, we aim at completing the project by 2025. 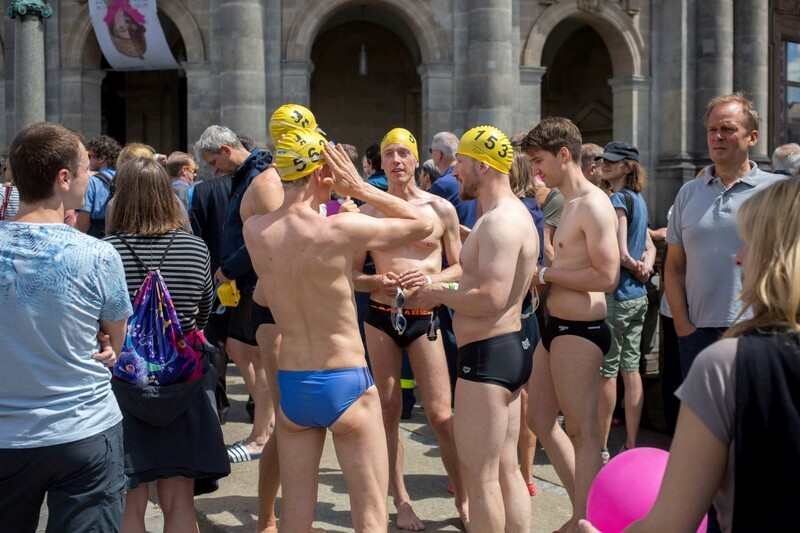 If it is done by then, it would mark exactly 100 years after the last inner-city bathing area in Berlin was closed due to poor water quality. ‘A’A’: What was the impact of this Award on your professional activity as architects? Jan Edler: With the LafargeHolcim Awards we won, our oldest project – which was initiated nearly 20 years ago, without any commission, just as an independent proposal to upgrade life in Berlin’s historic centre, just outside of our studio at that time – has become one of our most important one. 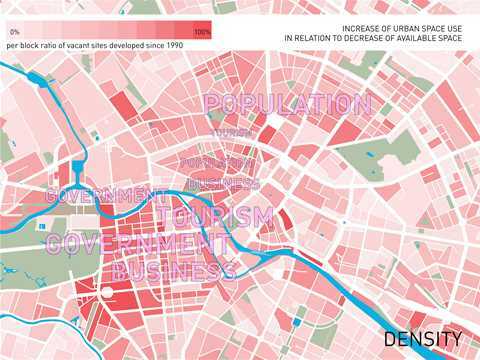 And currently it looks as if this “old dream” of ours might actually become a reality in the near future. 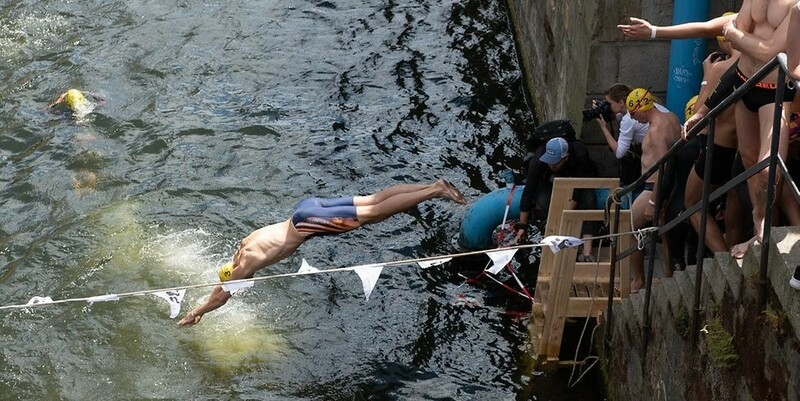 This is rather amazing! ‘A’A’: What are you main current projects? 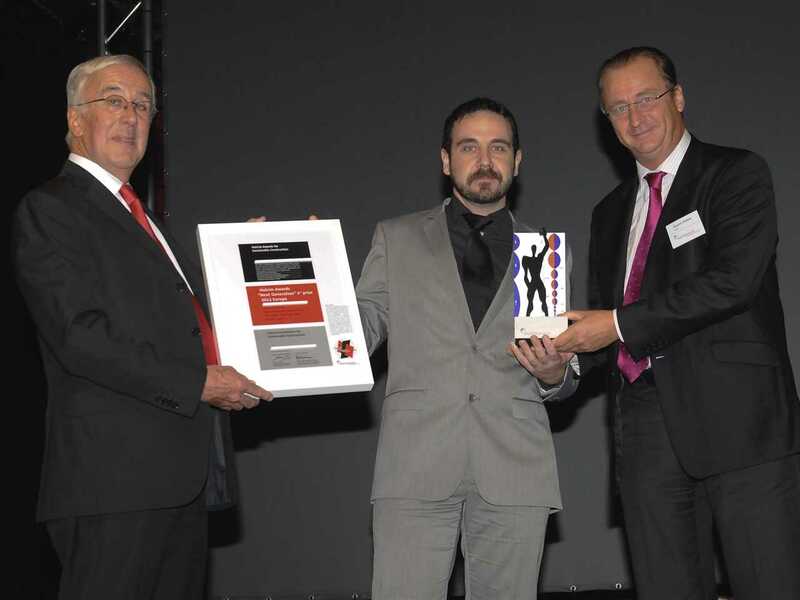 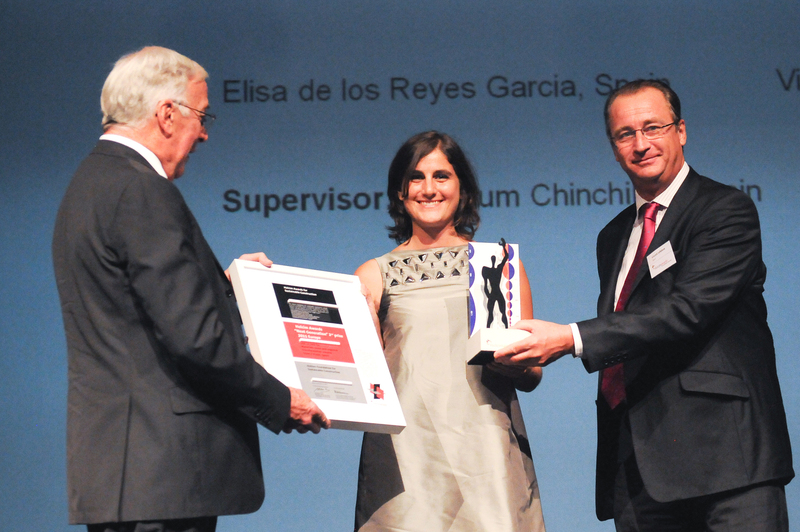 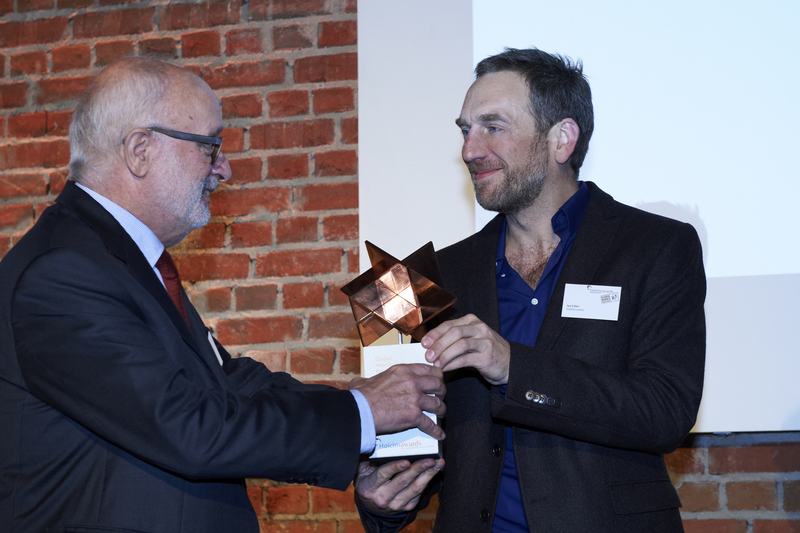 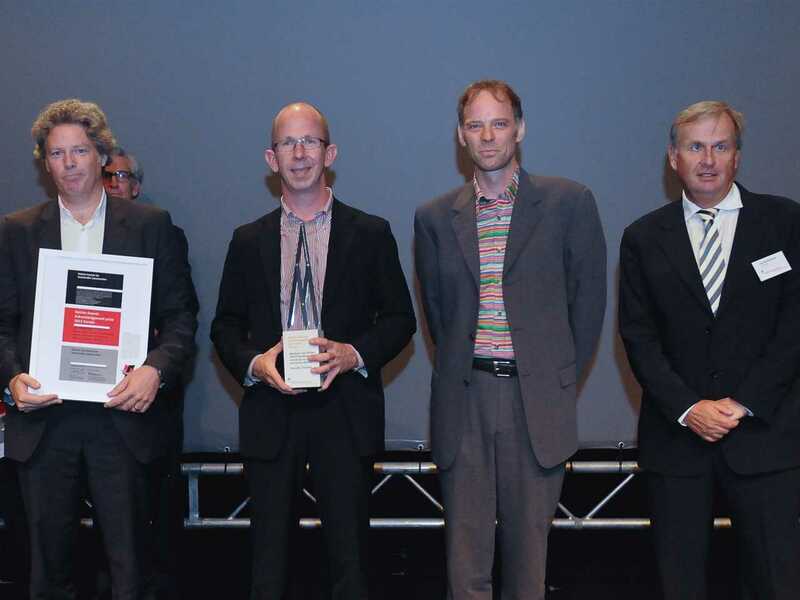 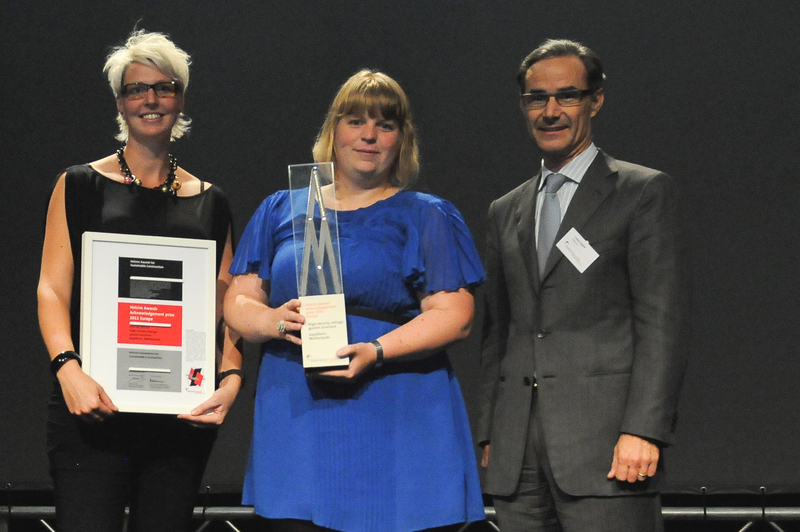 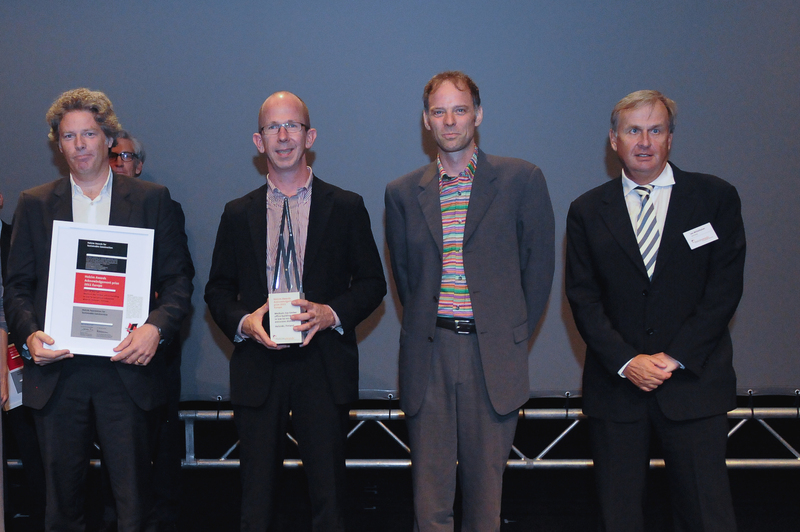 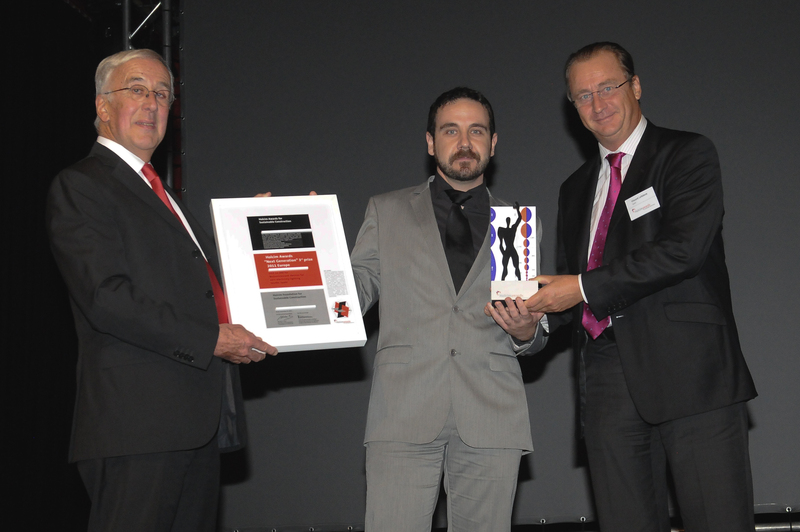 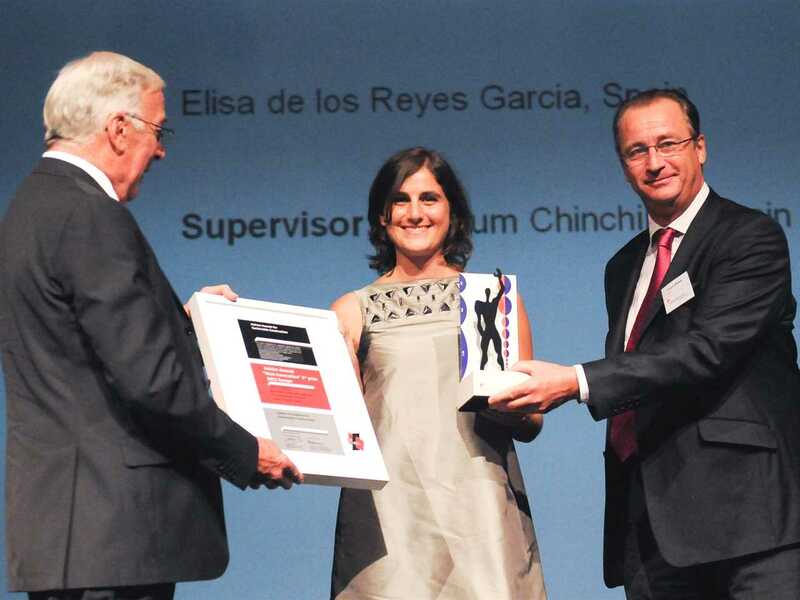 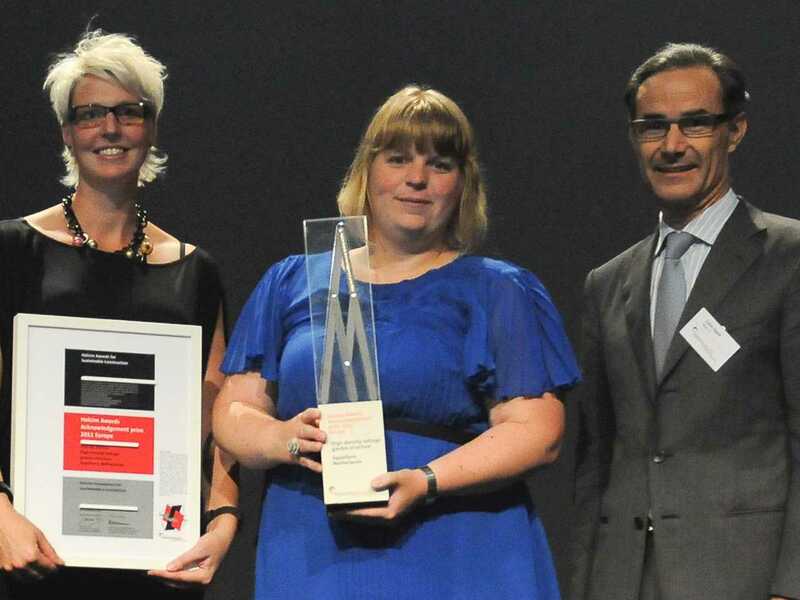 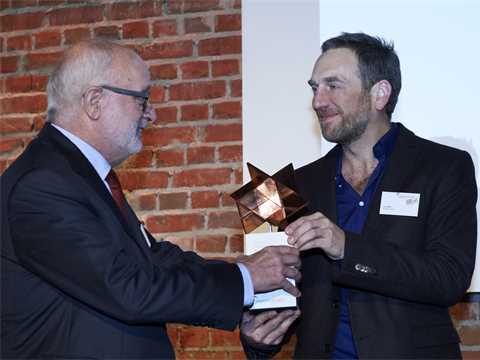 Are you still in touch with the LafargeHolcim Foundation’s network and/or other Award-winners? 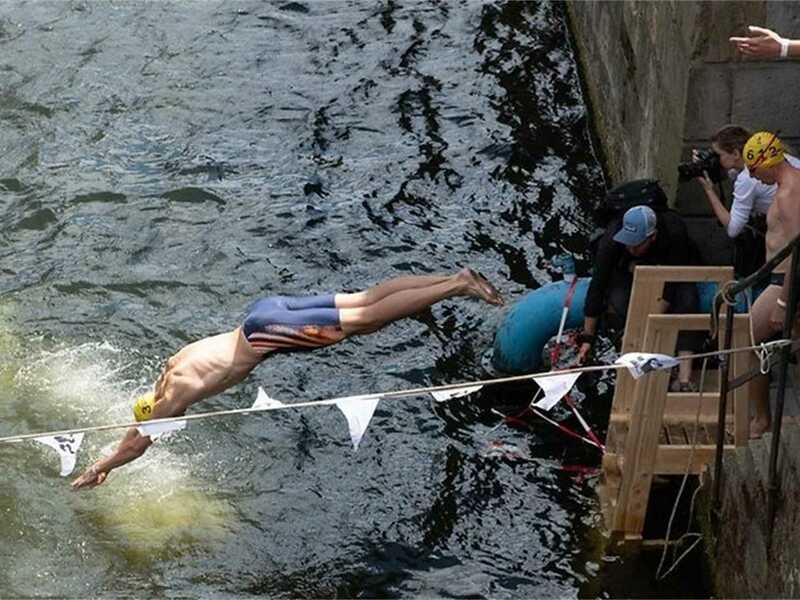 If so; in what context? 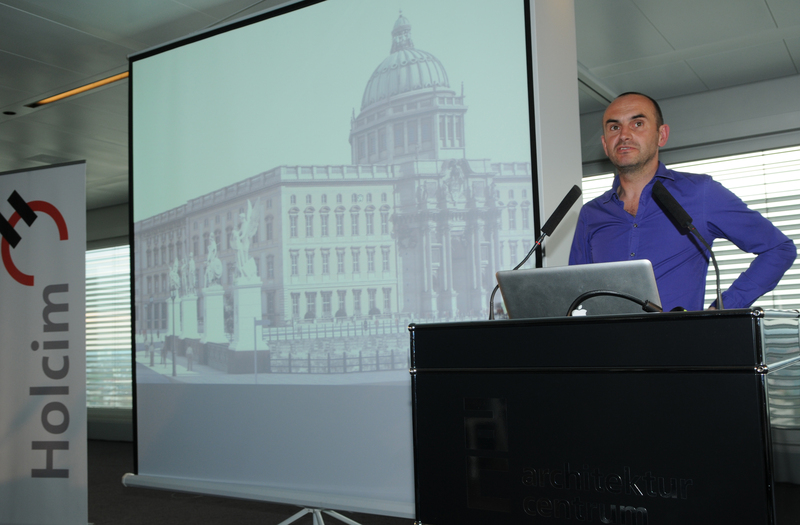 Jan Edler: Besides the Flussbad project, we work on the realization of a series of public art projects. Amongst others, two installations in Toronto, a kinetic sculpture for a new museum in Berlin, and a major installation for the Biennale Foundation in Gwangju, South Korea. 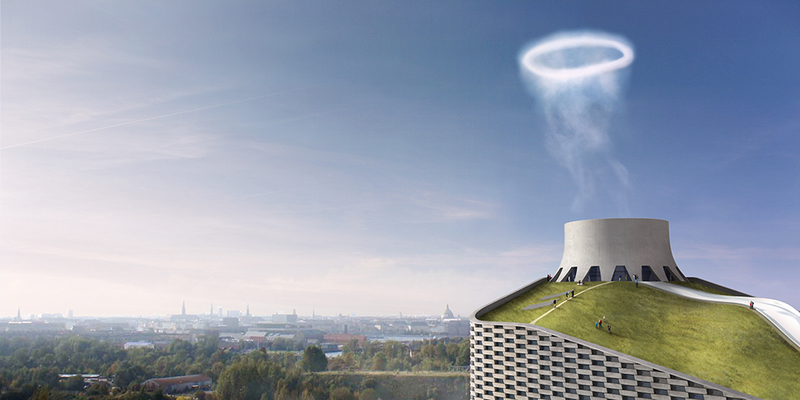 Currently, our partner BIG is in the process of implementing our smoke-ring emitting public art piece for Copenhagen’s new waste-to-energy plant. 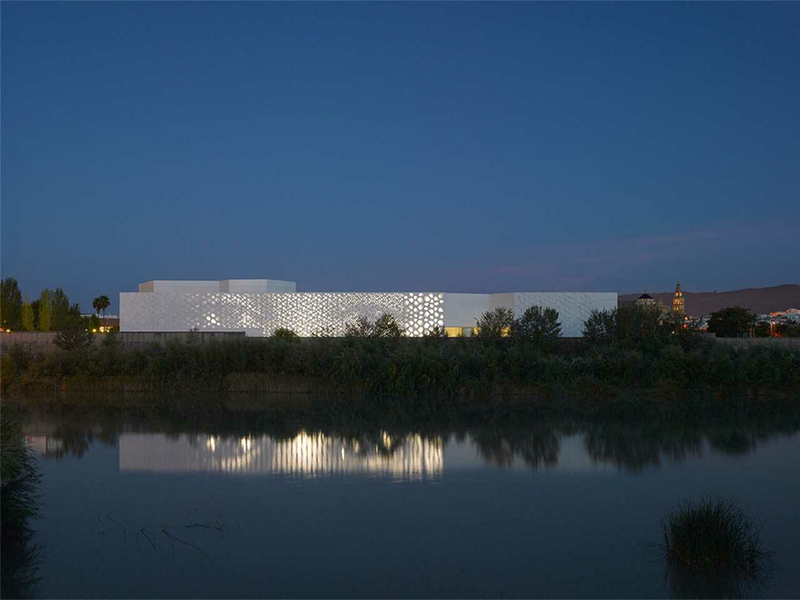 We also completed a dynamic façade design for the C3A public art centre by Nieto Sobejano Architects, opened in December 2016 in Cordoba. 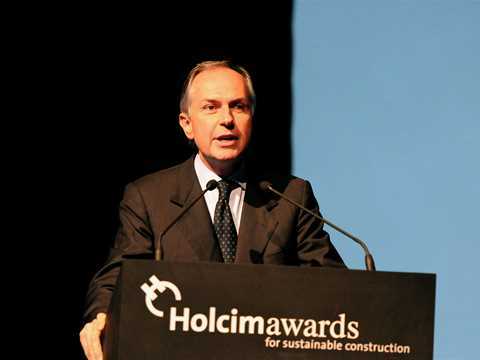 We are always closely following the activities of the LafargeHolcim Foundation. 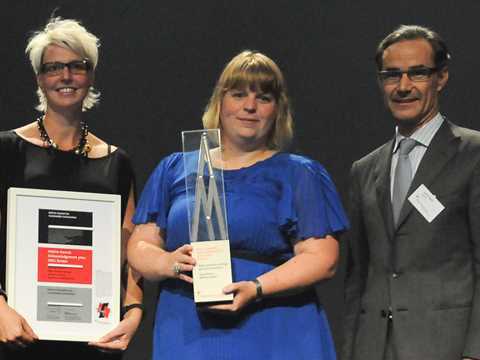 Over time, through the LafargeHolcim network, we have met a lot of inspiring and interesting people; some of them have even become good friends! Swimmers at an event promoting the Spreebad in the part of the canal next to the Museum Island. Photo: courtesy Annette Hauschild/Ostkreuz. 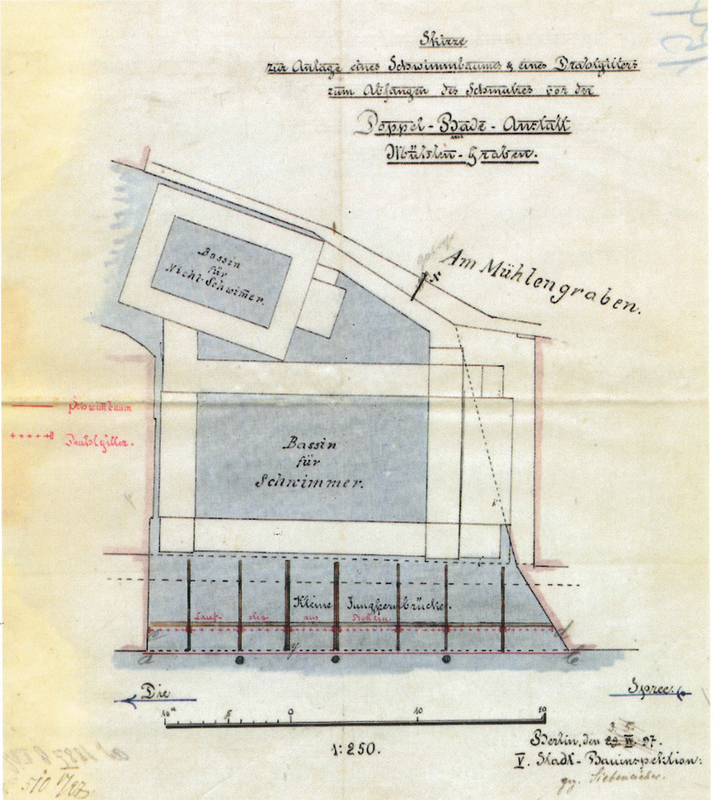 Schematic section perspective of proposed re-natured area of Fischerinsel. 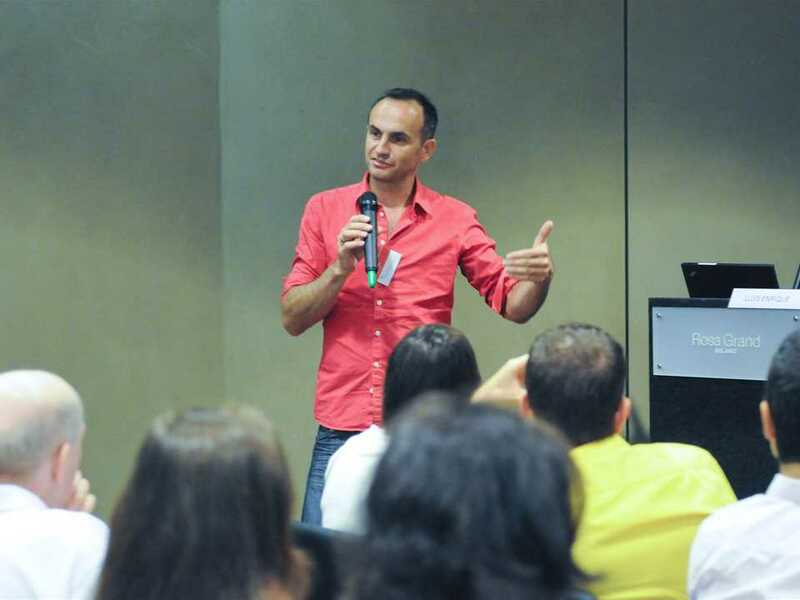 Photo: courtesy realities:united. 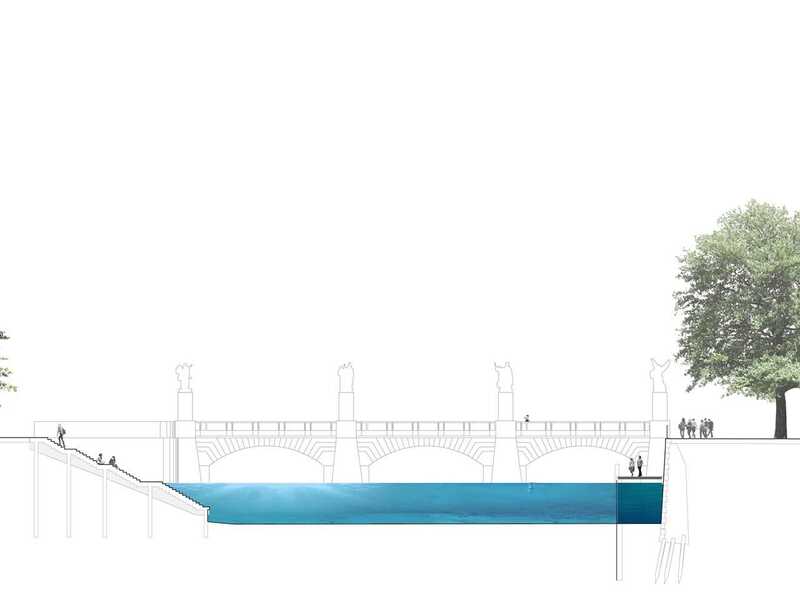 Rendering of proposed renatured area at Fischerinsel. 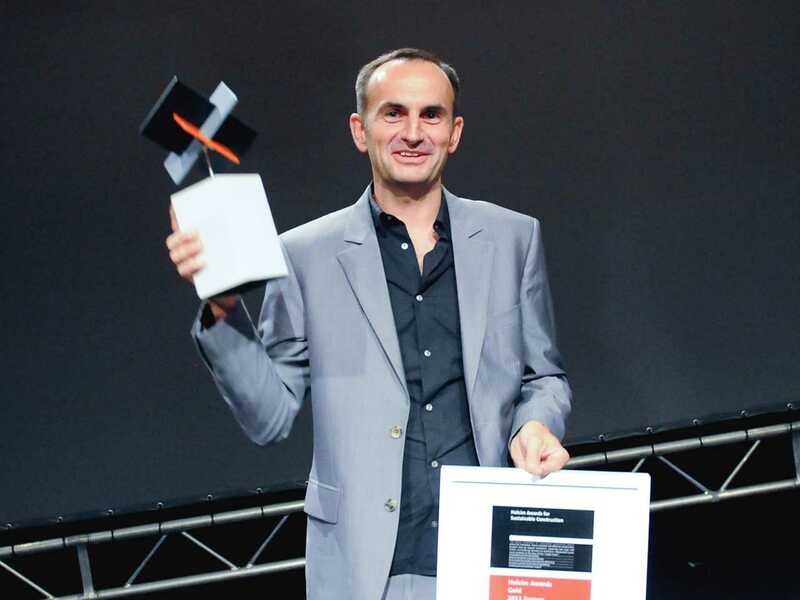 Photo: courtesy realities:united. “We really believe that the narratives of the sustainable city and heritage protection can be combined in the project and can profit from each other.” – Tim Edler, realities:united. Existing conditions at Fischerinsel. 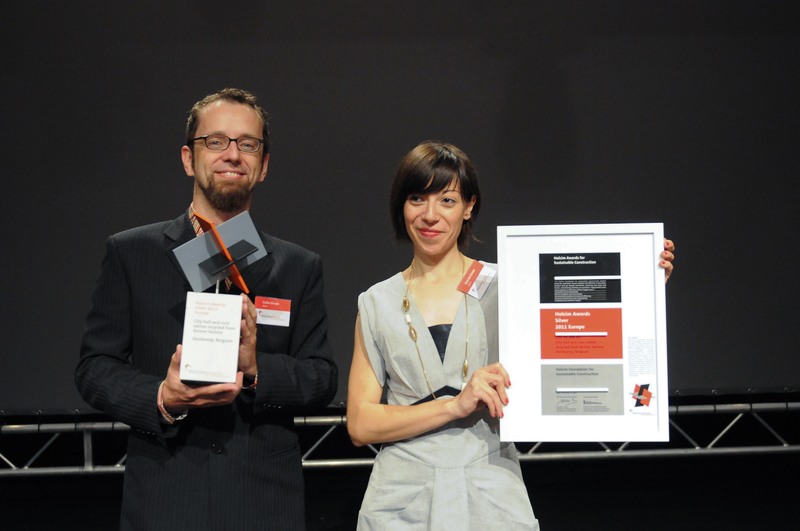 Photo courtesy Axel Schmidt. 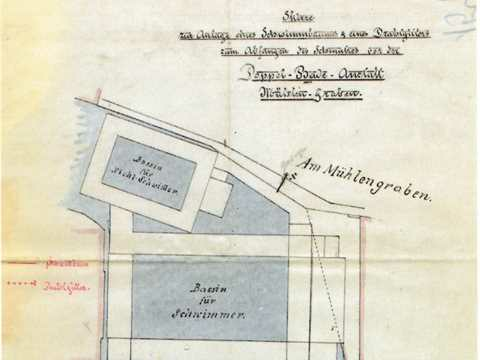 The double bath in the Mühlengraben area near the Jungfern bridge (1909). Photo: courtesy Wikicommons. 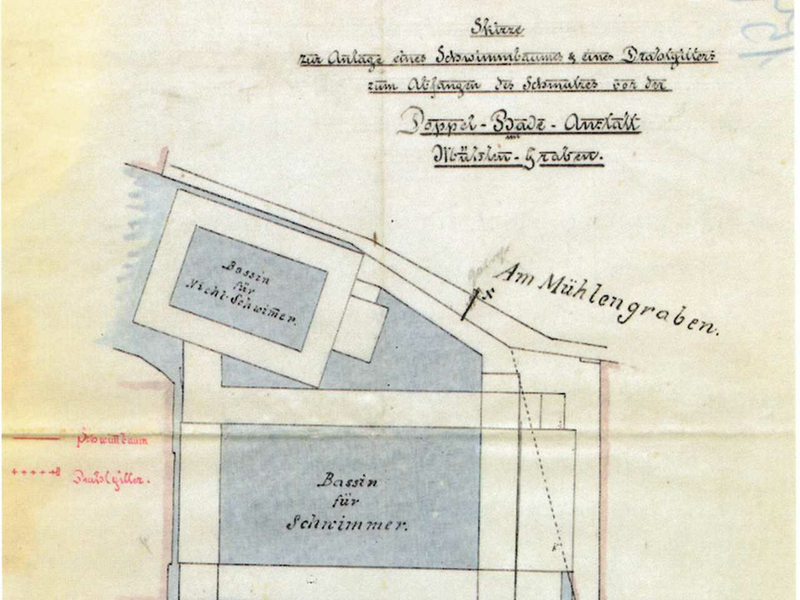 Plan sketch of the former double bath in the Mühlengraben area, which was in use from 1895 until 1925. 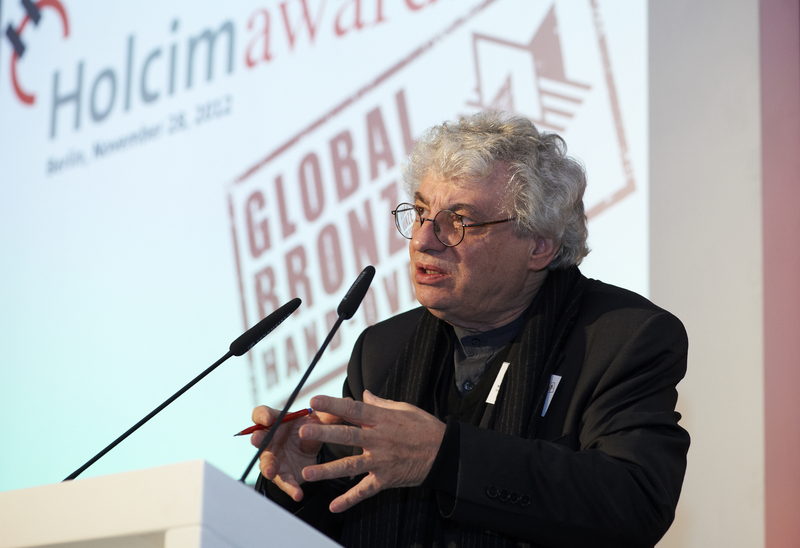 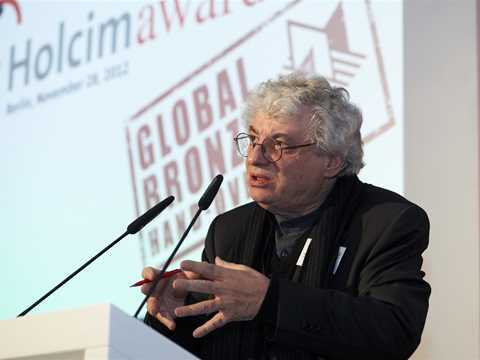 Photo: courtesy Bäderbau in Berlin (Lukas Verlag, Berlin 2013). 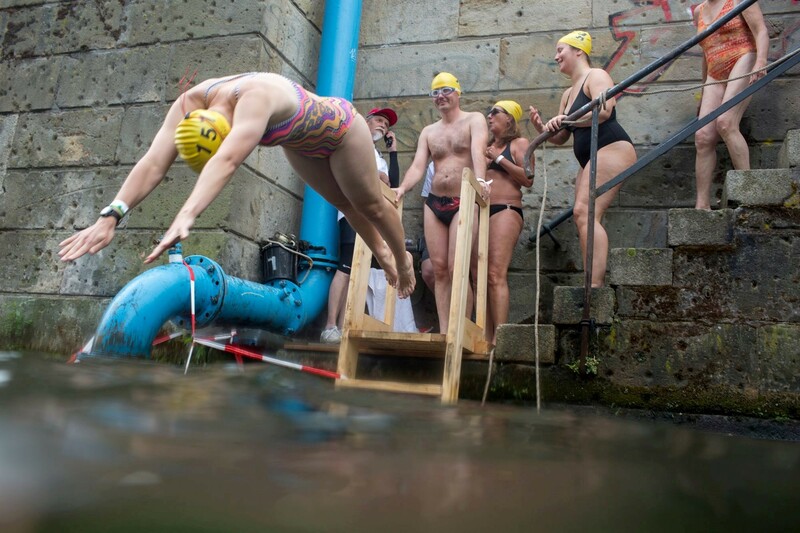 1st Annual Flussbad Summer Fest at the European School for Management and Technology (ESMT Berlin). 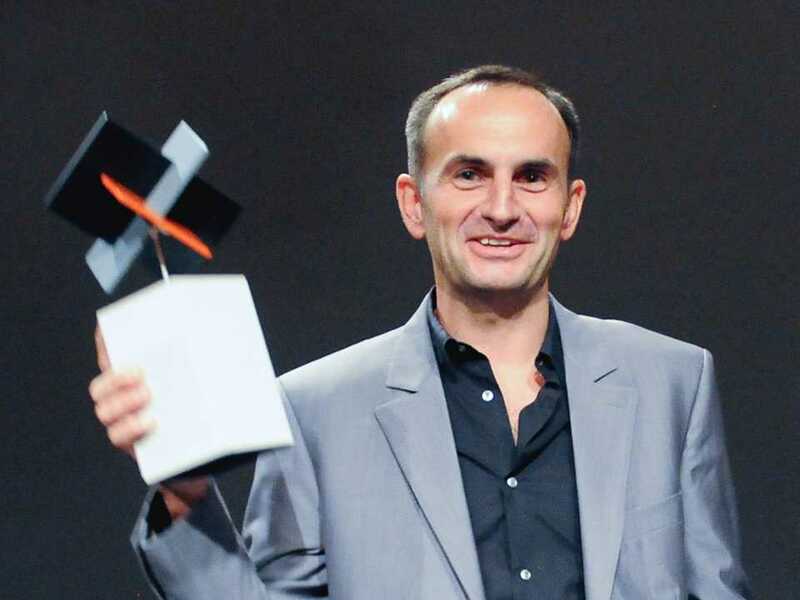 Photo: courtesy realities:united. 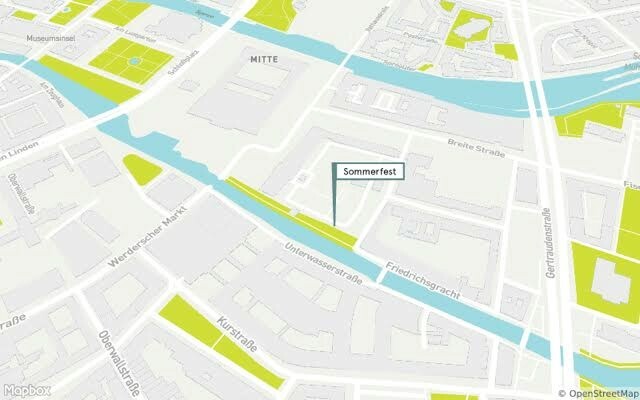 Location of the early 2017 exhibit in the ESMT garden. 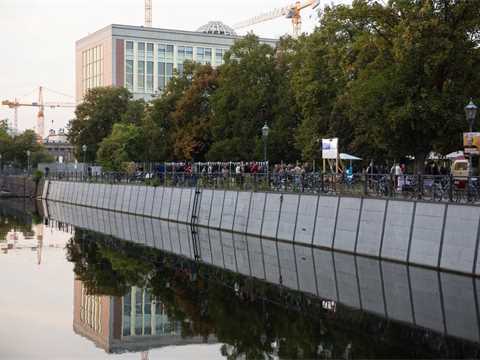 The area is located at the Friedrichsgracht, opposite the Department for Foreign Affairs, near the Schlossplatz. 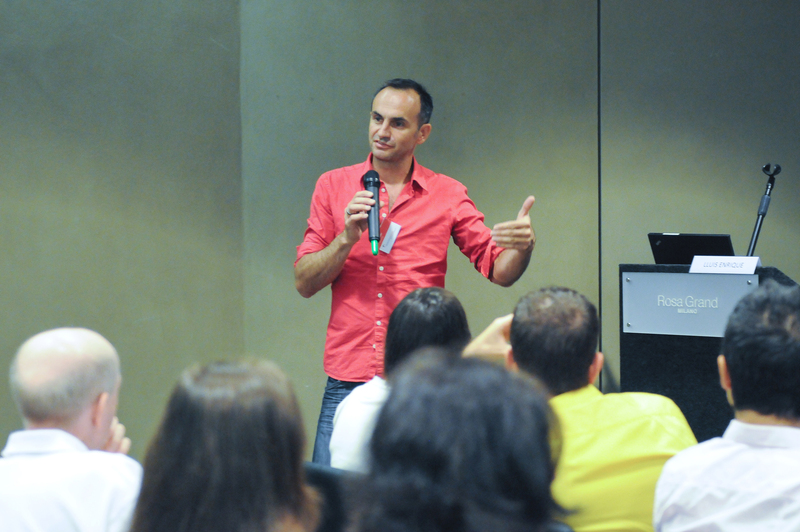 Photo: courtesy realities:united. Schematic section through the plant-gravel filter basins. 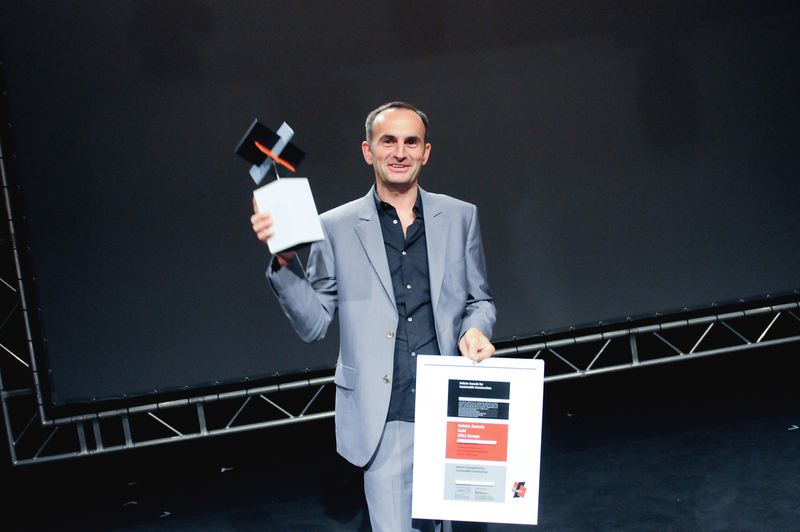 Photo: courtesy realities:united. 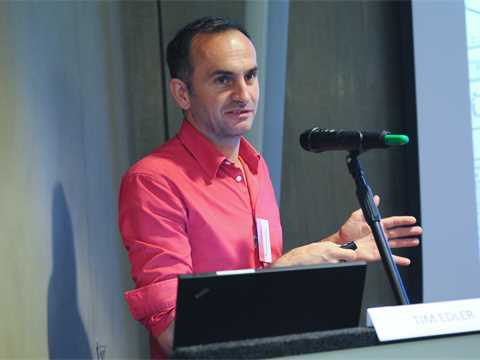 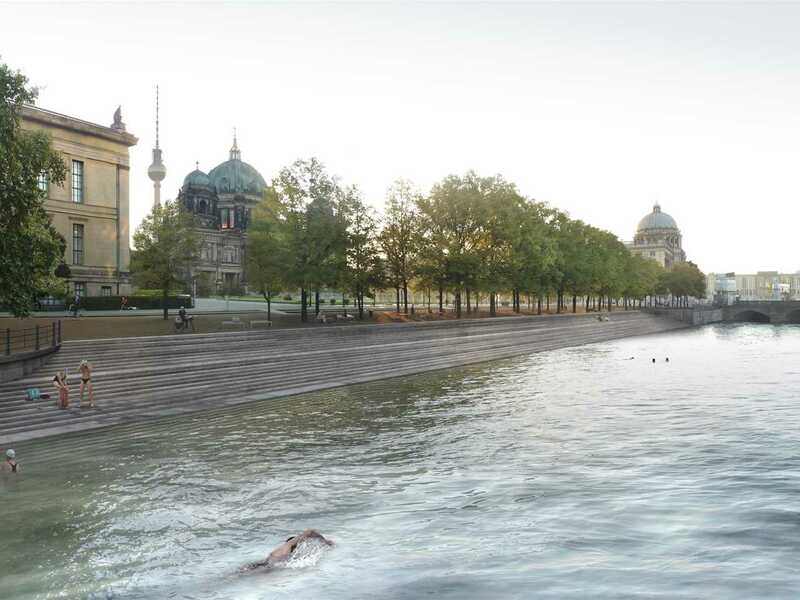 The comments by international experts and media coverage spurred greater interest in the project, and by 2014 the concept of a 830m-long public bath in the center of Berlin had garnered widespread international attention. 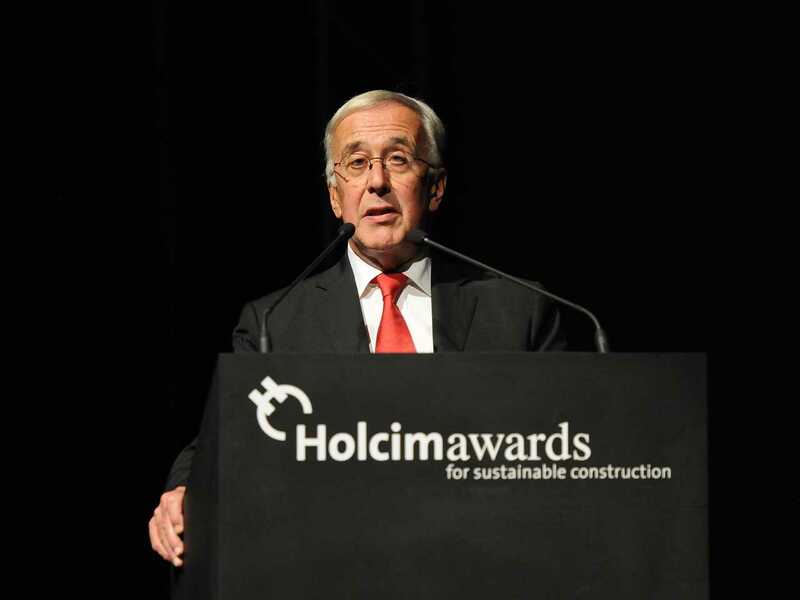 Subequently, this momentum aided in securing an additional USD 3.2 million awarded by the National Project for Urban Development (Nationale Projekte des Städtebaus) to develop the proposal further. However, the complexity of land ownership and the historic significance of the site have also created new challenges. 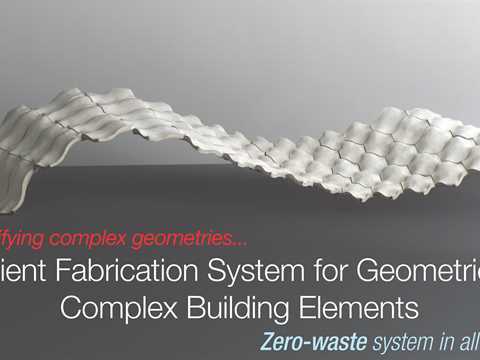 Since many federal, state and local actors are involved and the project site is not under the sole jurisdiction of a single entity, a second round of detailed feasibility studies is currently under way to investigate how to break the project up into smaller parts, while maintaining smooth project delivery. 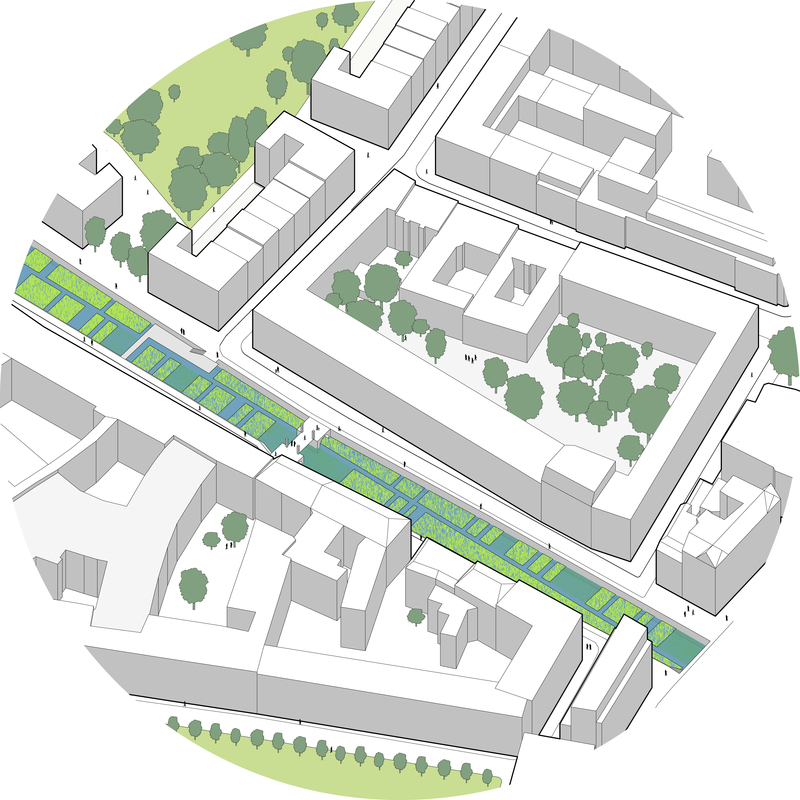 In part, the detailed study involves looking carefully at how pedestrian movement and accessibility would be impacted during sequential phases, as well as how the different trades that make up the construction teams could be organized to produce the most environmentally sensitive and cost effective results. 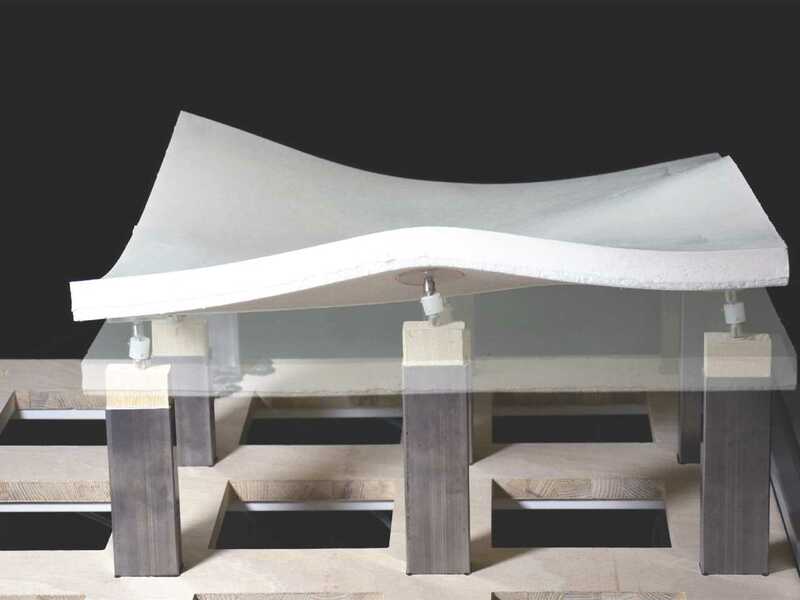 Meeting the overarching goals of heritage protection while being minimally invasive to the site is another ongoing discussion between the project design team and heritage protection authorities. 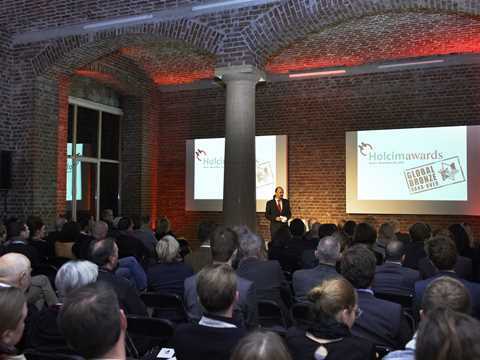 In recent meetings with local representatives from the “highest” national monument protection authority (Oberste Denkmalschutzbehörde), the state authority for monument protection (Landesdenkmalamt), as well as the “lower” national monument protection authority (Untere Denkmalschutzbehörde), concerns over interventions were voiced. 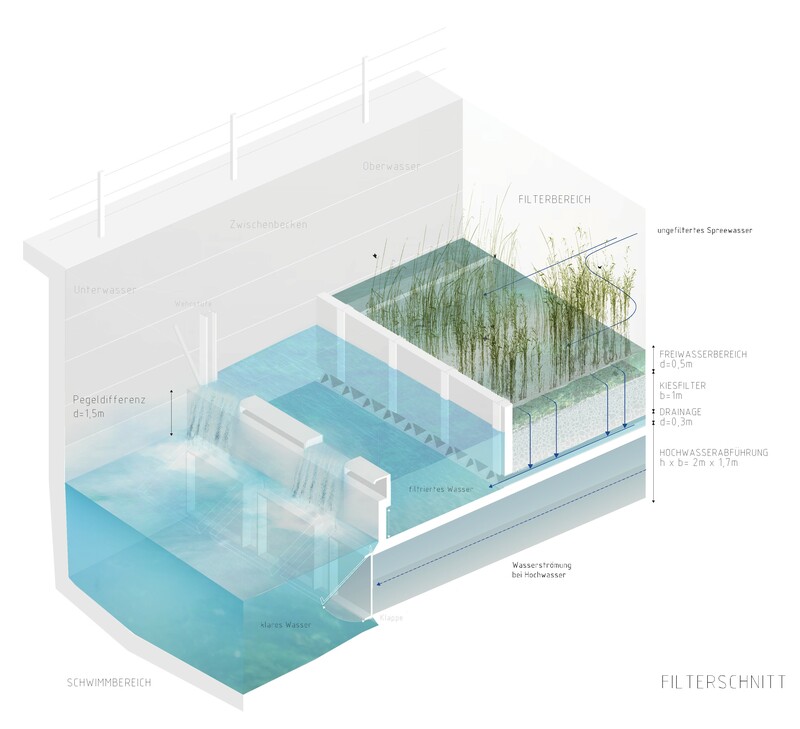 Specifically, the discussion with these groups has focused on physical changes such as the introduction of concrete stair elements and the visual impact of the environmentally friendly water filtration system, which includes plants and bivalves, on the aesthetic of the water surface . A bit more puzzling to the design team has been the reaction of lobby groups such as the Society of Ancient Berlin (Gesellschaft Historisches Berlin), who have identified the presence of bathers as problematic. 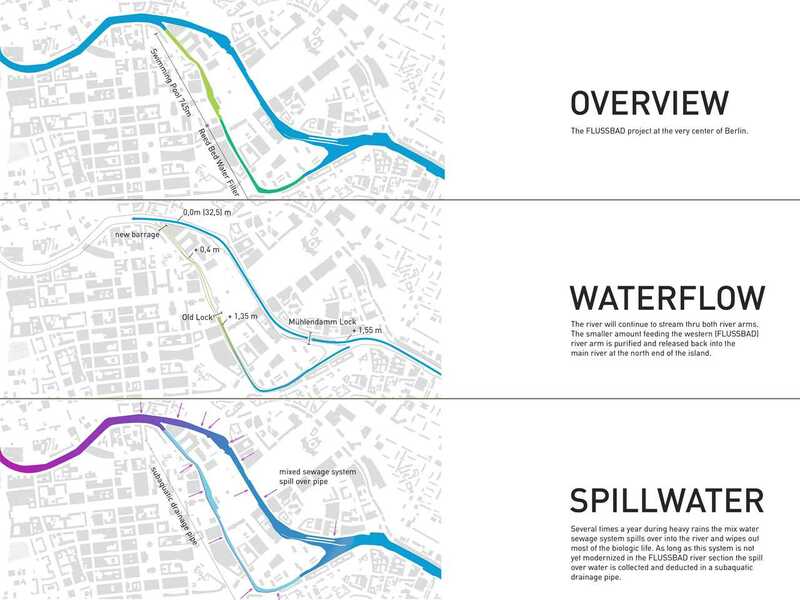 Yet, the architects are still optimistic that the discussions between the design team and heritage advocates are raising important questions about how to balance the local community’s desire for more public space and improved water quality with the protection of historically significant sites. 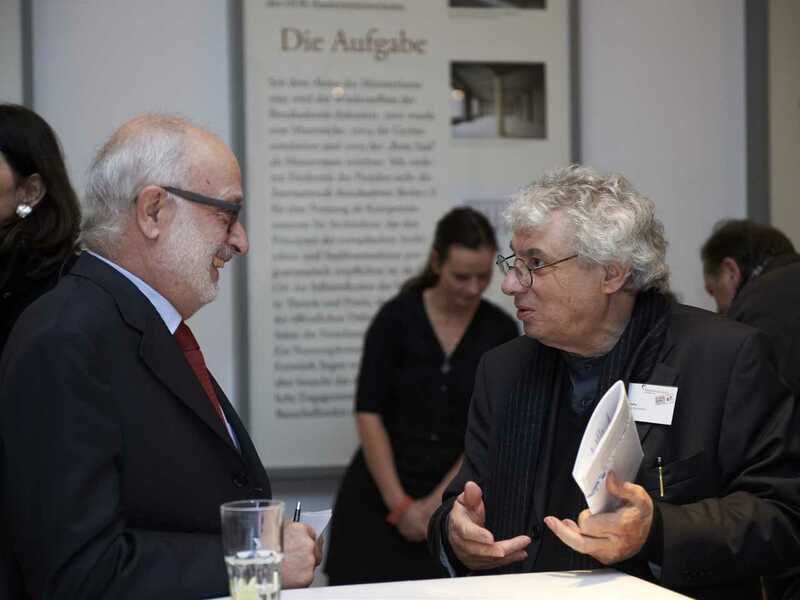 Tim Edler (pictured, left) elaborates: “We really believe that the narratives of the sustainable city and heritage protection can be combined in the project and can profit from each other.” In order to address these issues, the design team has developed a series of demonstration projects that will be launched in early 2017. 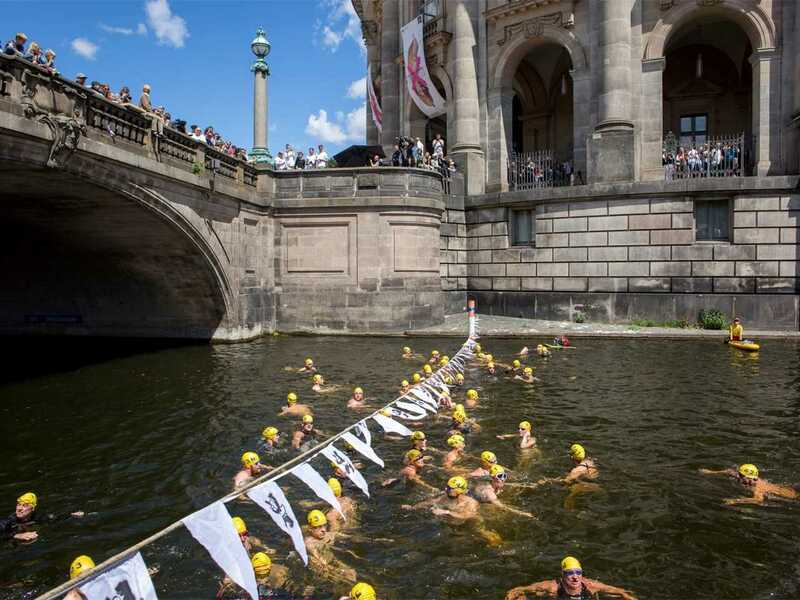 Many bathing areas existed in the Spree until high levels of water pollution forced their closure in the early 20th century. The European School for Management & Technology (ESMT Berlin) now occupies one of these sites in the Mühlengraben area of the Spree Canal. 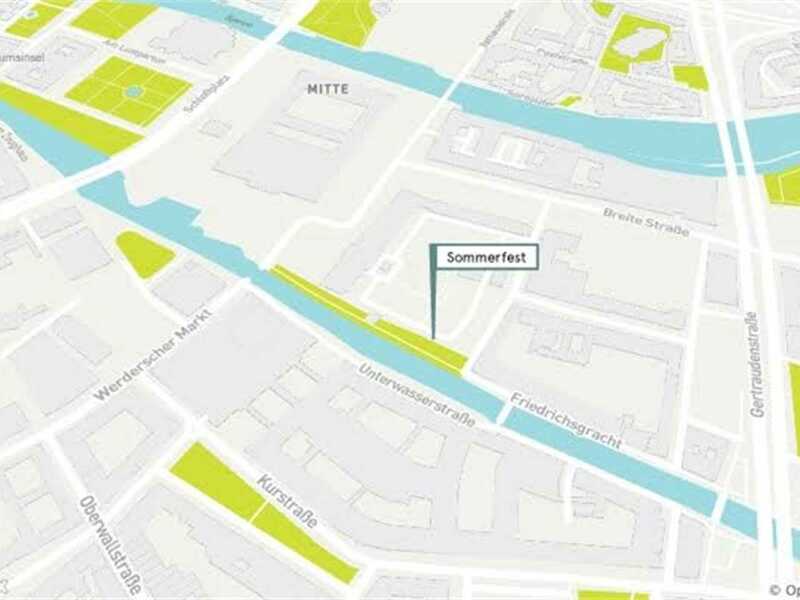 The ESMT are active supporters of the Flussbad Berlin Association and will make an 865m2 area including a former bathing site available at no cost for a demonstration project from early 2017 to late 2018. 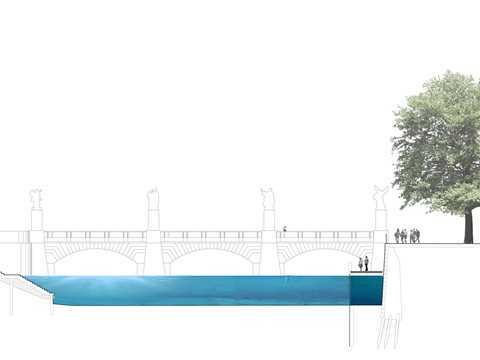 A wooden platform will trace the foundations of the former public bath known as the “Doppel-Badeanstalt” (double bathing area, pictured left), which was in use from 1895 until 1925 and located in a branch of the main canal that existed until around 1954. 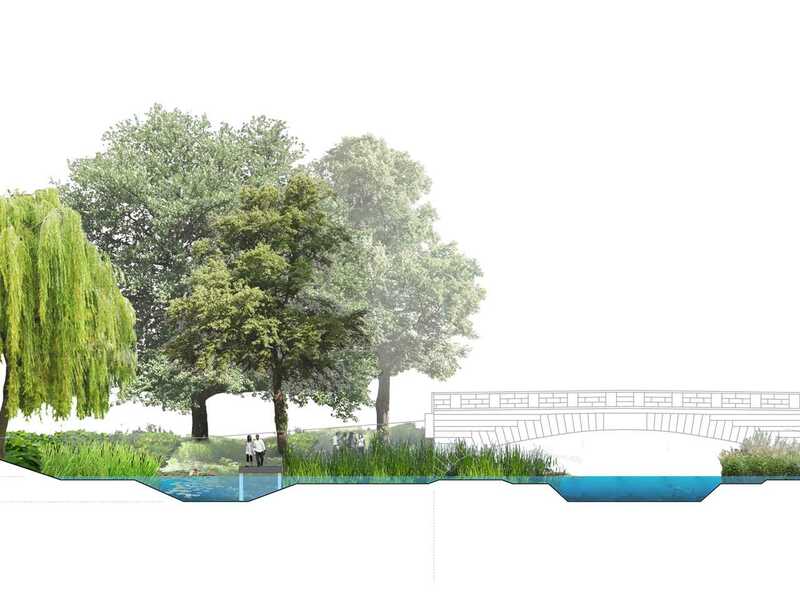 The planned wooden platform will include an exhibition and discussion area to showcase topics relating to the project such as how the water treatment strategy will integrate the city’s existing overflow retention infrastructure. 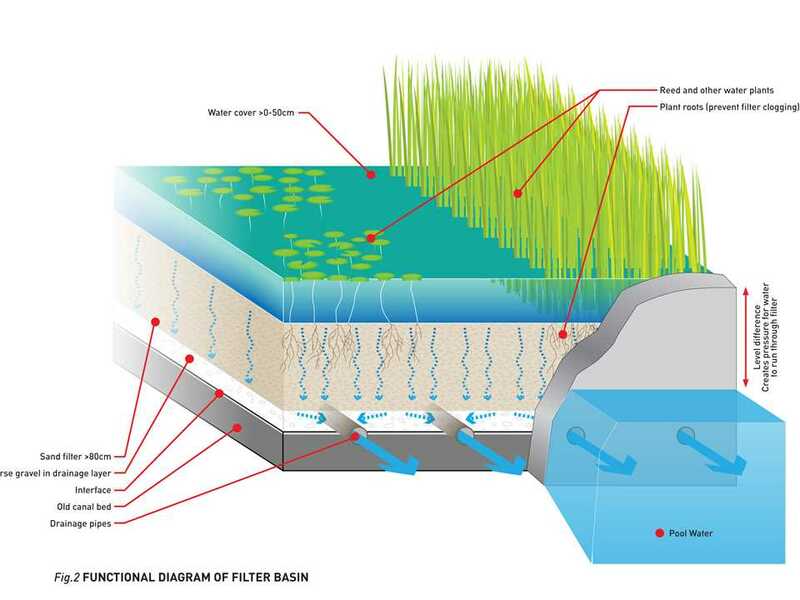 In parallel, constructed wetlands will purify incoming river water in an environmentally friendly way that uses the naturally occurring filtration properties of plants and bacteria to improve water quality. The site will also act as a summer event location and a presentation space for other projects dealing with urban public space. 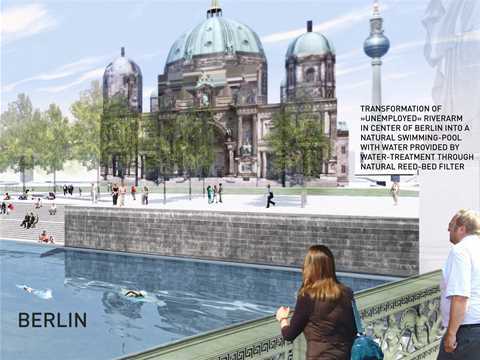 The platform, which is still in the planning phase, will be constructed on a 1:1 scale based on historical sketches and will provide the public with a window into the history of Berlin’s public bathing culture. In addition to the information platform, a scaled down version of the natural filtration system planned for the Flussbad will be constructed and housed within a historic barge called the “Hans-Wilhelm,” which belongs to the Port of Berlin. 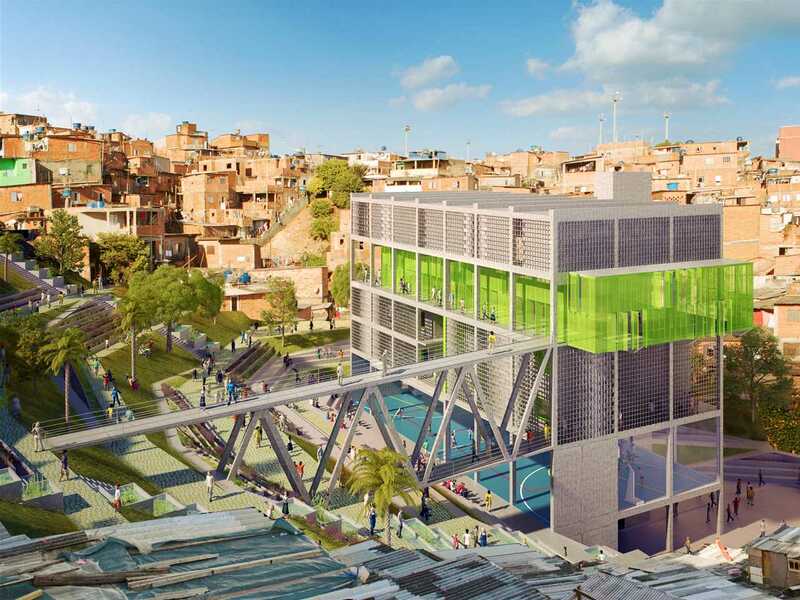 The testing facility will be in operation for two years with the aim of monitoring and refining the water filtration system that must function under a wide fluctuation of water pollution. 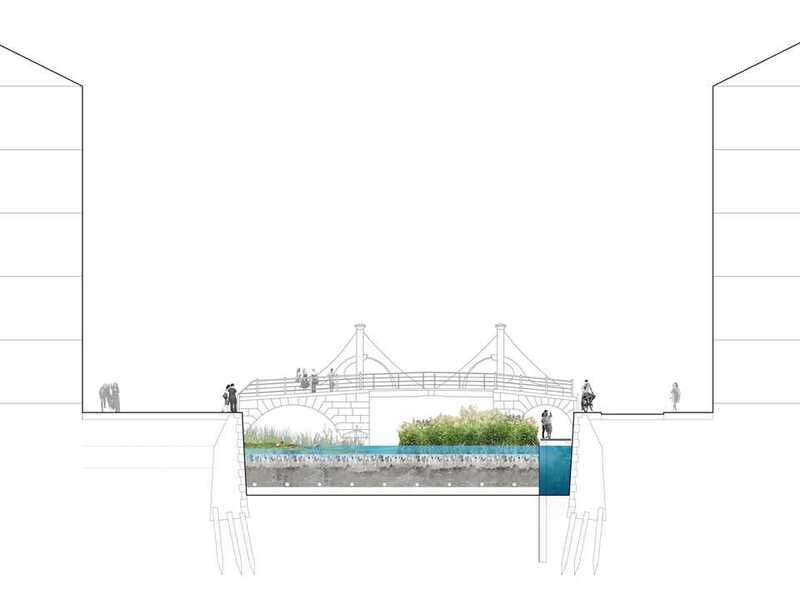 Much of the filtration process will be visible to the public, since the ship is moored below the quay wall and the filter basins will be visible. 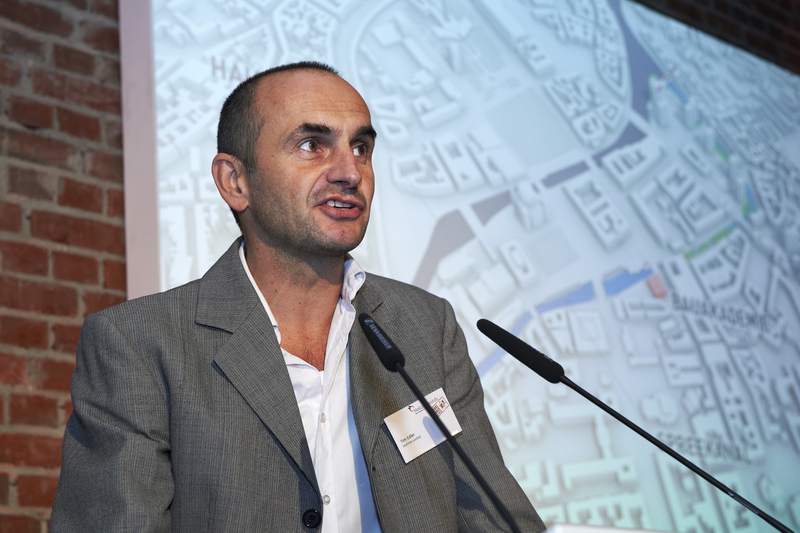 These lighthouse projects are not only important measures to communicate the potential impact of the Flussbad project to inspire local residents, but they simultaneously provide the design team with opportunities to verify and elevate technical dimensions of the project. These efforts also highlight the methodical working process of the trailblazing project team and how daring design thinking does not happen in a vacuum. While political support continues to be strong across parties, Tim Edler hopes, “the newly elected government in Berlin will remain very confident about the project.” Certainly, political support will be critical for the realization of the Flussbad. 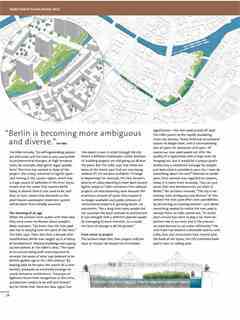 But ultimately, it will be the public’s strong embrace of the symbolic and functional possibilities of the project – the creation of a unique and inclusive public space in the center of the Berlin that is both sensitive to history and the environment – that will bring this ambitious proposal to reality. Former member of the Board of the Foundation, Klaus Töpfer (left) met with architect Jan Edler (center) to discuss the Berlin Flussbad project, winner of the Global Holcim Awards Bronze 2012. 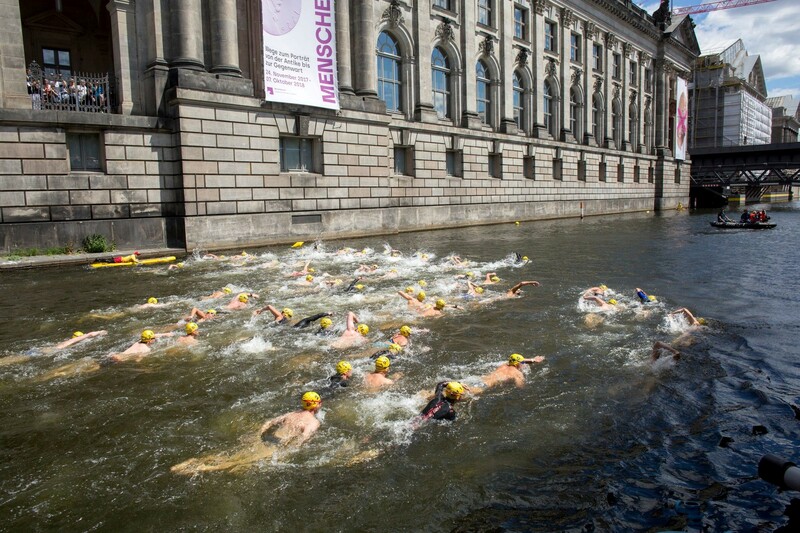 Photo: Courtesy Flussbad Berlin e.V. 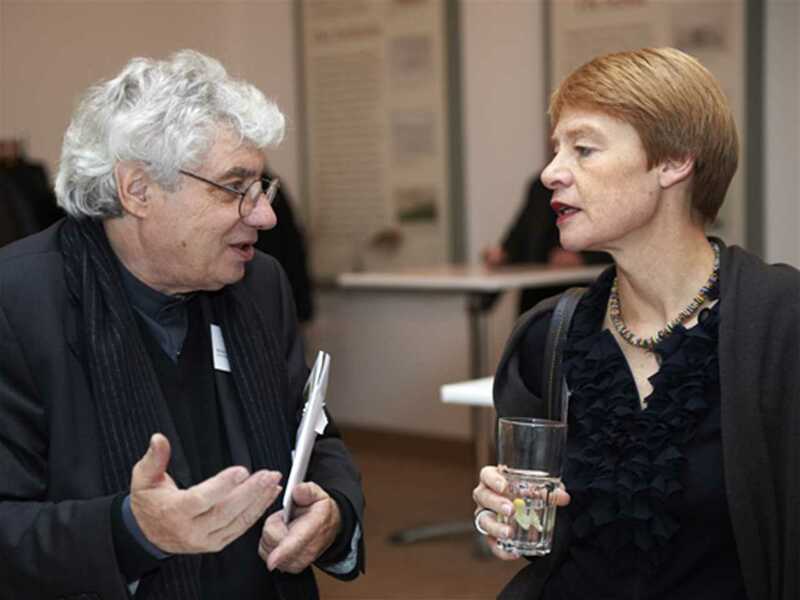 Former German Environment Minister Klaus Töpfer (left) met with architect Jan Edler to discuss the Berlin Flussbad project. 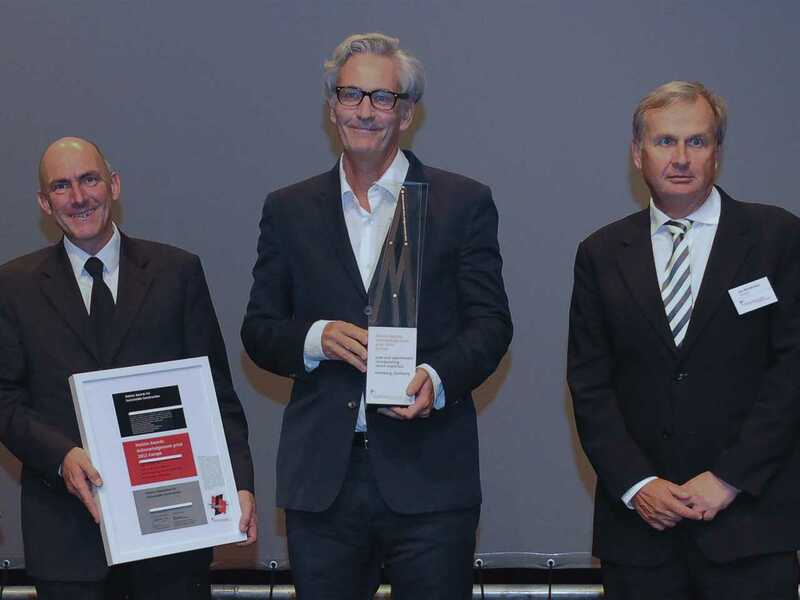 Klaus Töpfer has long supported water conservation and the health of waterways – famously swimming across the River Rhine in 1988 to focus attention on environmental health of river systems. 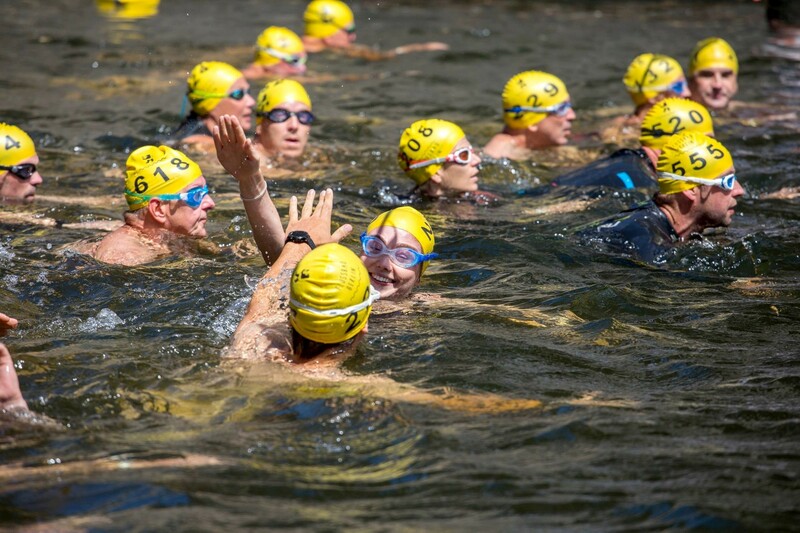 Photo: Courtesy Flussbad Berlin e.V. 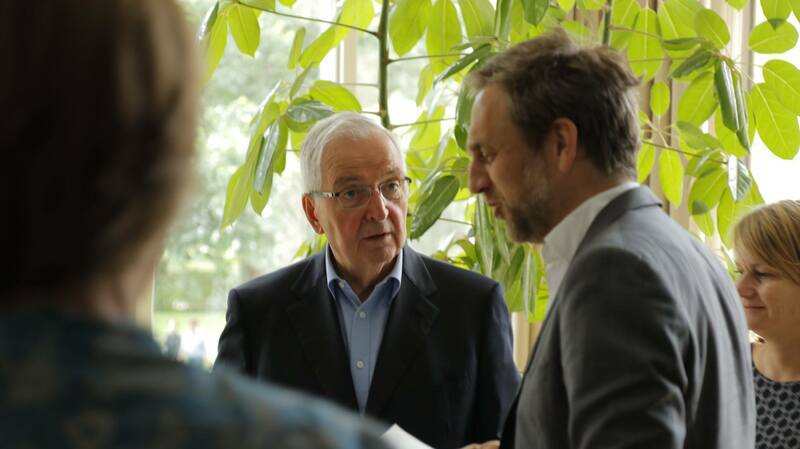 Former German Environment Minister Klaus Töpfer met with architect Jan Edler to discuss the Flussbad project in Berlin. Klaus Töpfer is also a former member of Board of the Foundation. The Flussbad project won the Global Holcim Awards Bronze in 2012 and proposes a direct and strong impact on the quality of urban life and positive ecological contribution through remediation of the Berlin’s waterways. 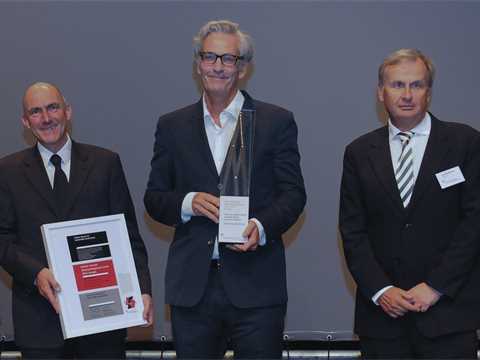 Klaus Töpfer has long supported water conservation and the health of waterways – famously swimming across the River Rhine in 1988 to focus attention on environmental health of river systems. 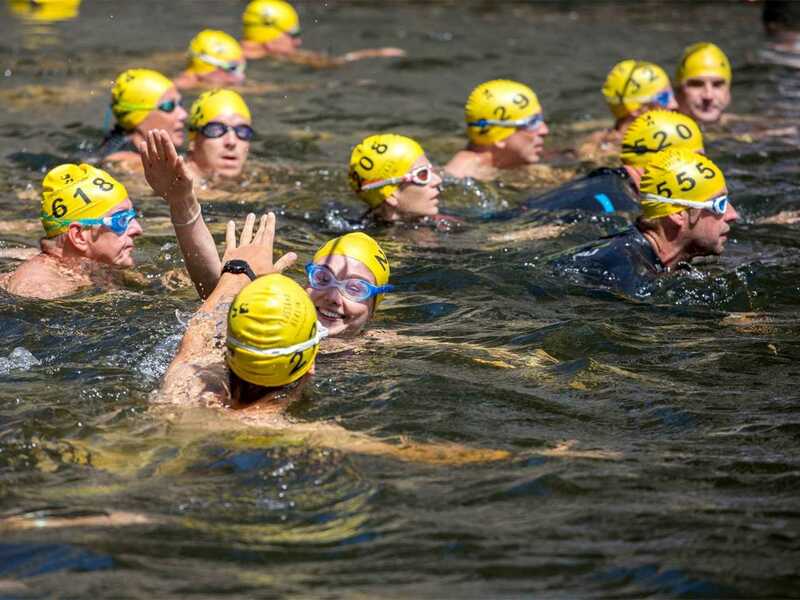 Public support for the project was also shown by about 100 people who took the plunge in Berlin’s Spree River on July 12 as part of the European River Swimming Day. 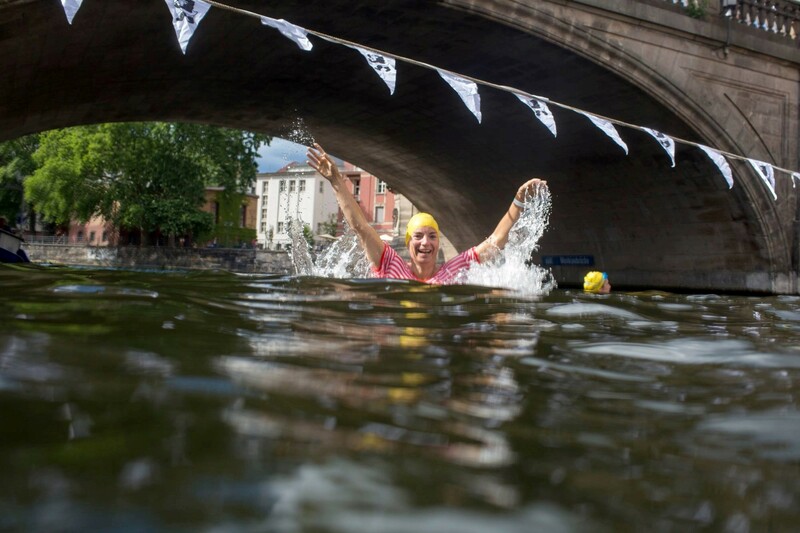 The annual event aims to raise awareness of pollution in European waterways and promote their revival and restoration. 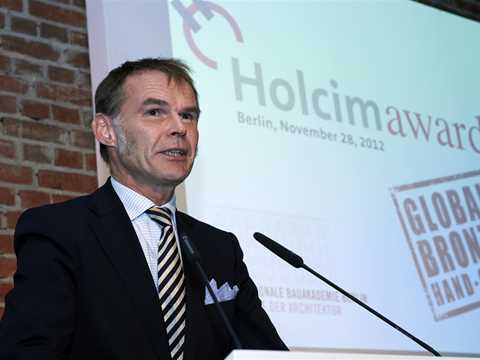 In 2014, the German federal government and the city of Berlin approved public financing totaling four million euros through to 2018. 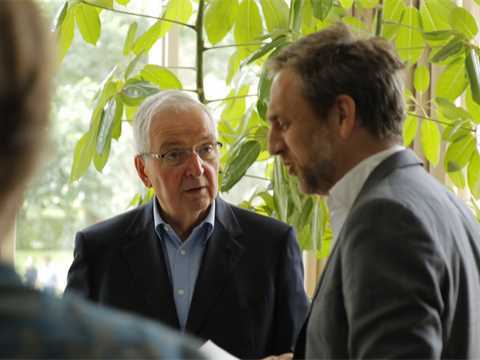 The funding will be used to assess how the project could actually be brought to fruition, and to work to obtain the political decision to go ahead with the project. 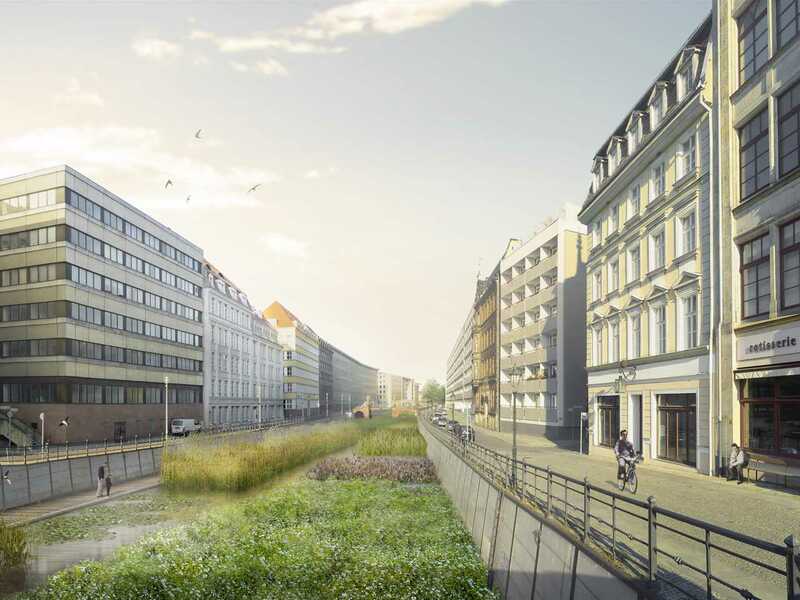 The urban redevelopment project Flussbad Berlin has received a total of USD 4.8 million in further funding from two sources. 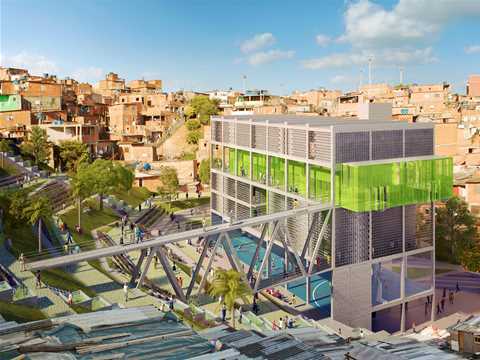 The National Projects of Urban Development program selected the Flussbad as one of 21 outstanding projects from across Germany, and approved a grant of USD 3.2million for the project. 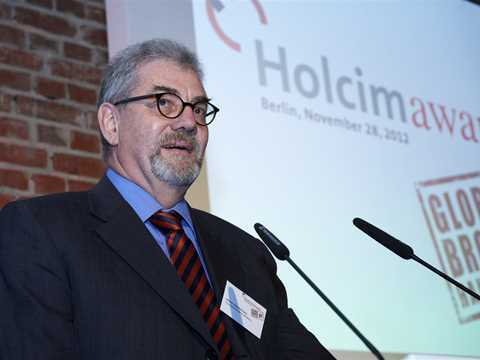 In addition, the jury appointed by the Federal Building Ministry to select projects for funding consisted of members of the German parliament and experts from various disciplines allocated USD 1.6 million from the state of Berlin. 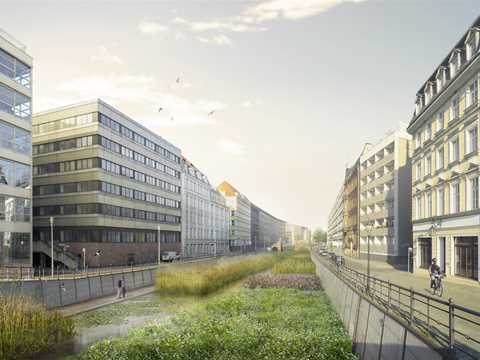 The Senate Administration for Urban Development will receive the funds from the German government to further develop the project together with the association Flussbad Berlin. 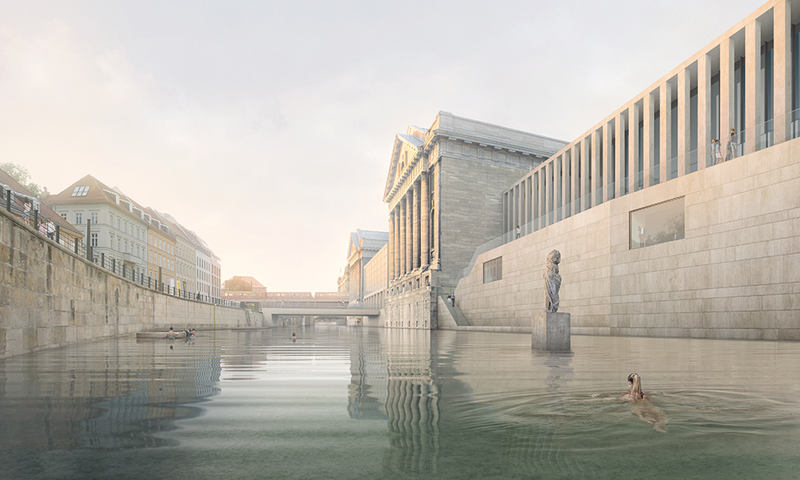 The urban redevelopment project aims to convert a 750-meter stretch of the Spree Canal along Museum Island into one of the largest and most beautiful publicly-accessible swimming pools worldwide. 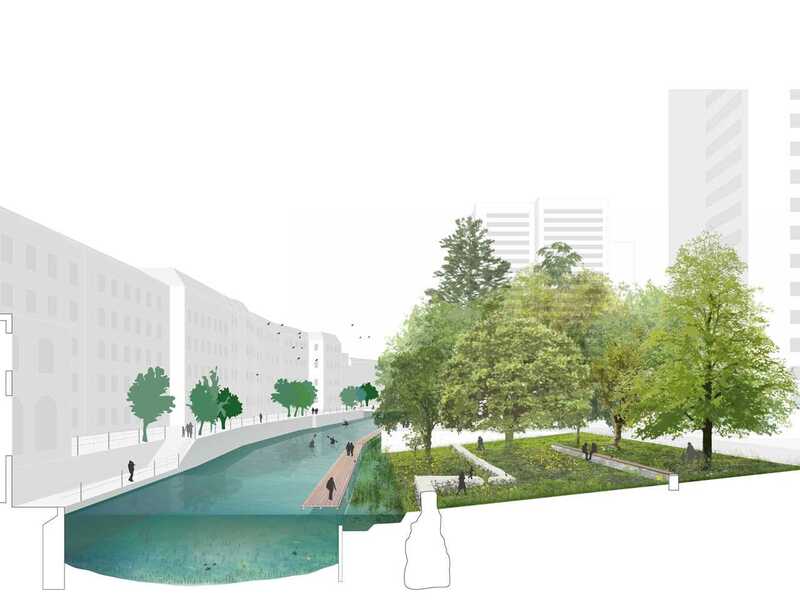 In the upper end of the 1.6-km Spree Canal, a biotope landscape and a reed basin will be created to purify the river water by natural means. 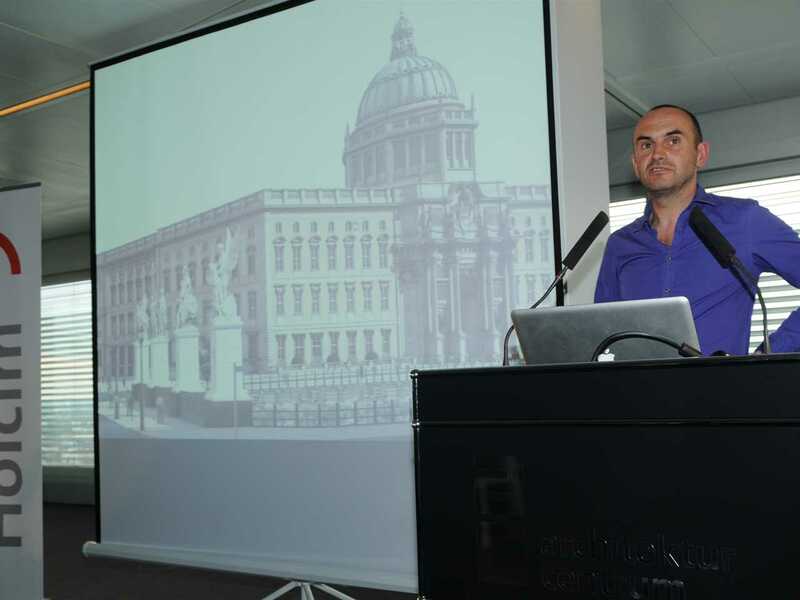 The state of Berlin will contribute USD 1.6 million toward the costs of the project. 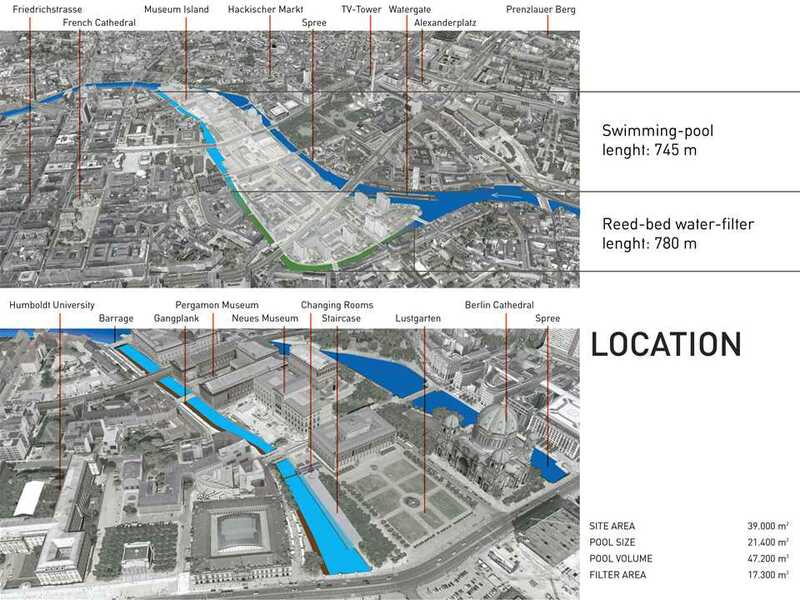 With its grant application to the new federal program National Projects of Urban Development, the Flussbad Berlin drew up an extensive package of measures for the further development of the urban development concept, as well as providing funding for the short-term realization of some strategic, urban-based components. The measures aim to support and qualify the development initiative, which until now has been solely a civil society project. The Flussbad was designed by Berlin-based realities:united and developed further from the initial concept. The team of Jan Edler and Tim Edler received the Holcim Award Gold for Europe in 2011 and the Global Holcim Awards Bronze in 2012. 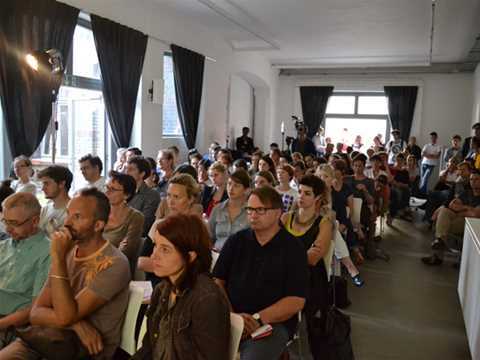 In addition to funds secured from the German Lottery Foundation Berlin (Stiftung Deutsche Klassenlotterie Berlin) for a comprehensive feasibility study, the fiscal support will enable the development of the project into its next phase and to identify further prerequisites for the realization of the project by the end of 2018. 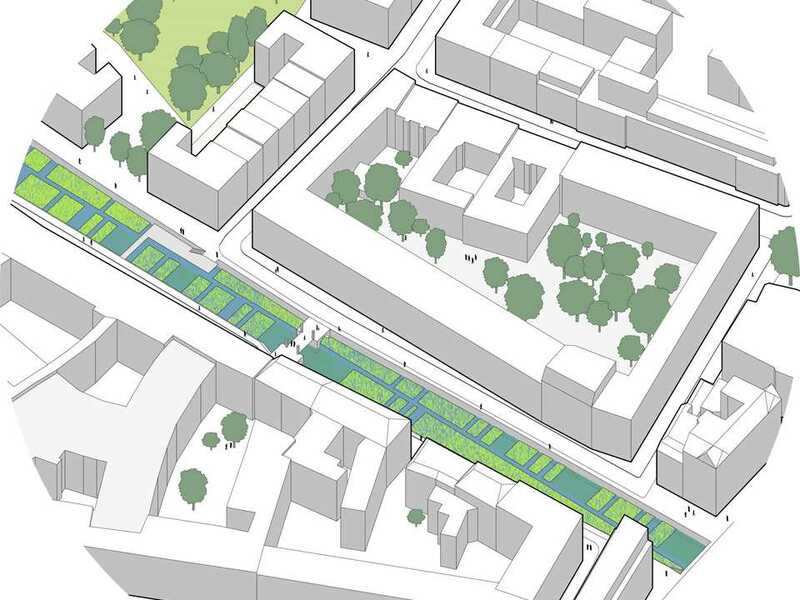 The German Lottery Foundation Berlin (Stiftung Deutsche Klassenlotterie Berlin) has approved a government grant of €110,000 (USD 150,000) to support producing an in-depth design and hydrological report for the Flussbad project. The funds have been approved for the project proposal of non-profit “Flussbad Berlin”, which is an important further step toward possible implementation. The project was launched by realities:united and contributes to ongoing discussion about the future use and design of central Berlin. 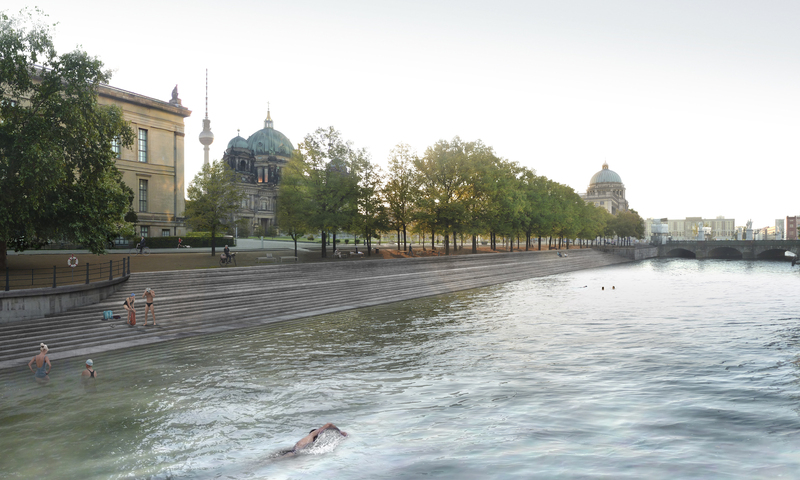 “Flussbad Berlin” aims to transform an under-utilized arm of the River Spree in Berlin into a natural 745m-long swimming pool. 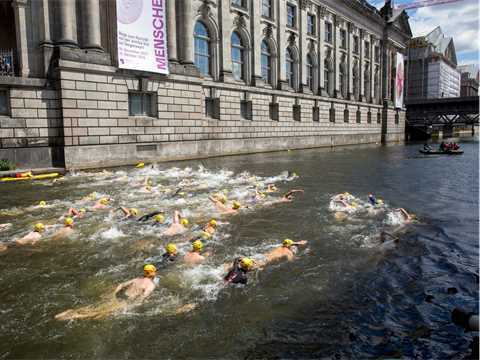 It would create a swimming zone equivalent to 17 Olympic-sized pools, and provide a public urban recreation space for both residents and tourists adjacent to the Museuminsel, a UNESCO World Heritage site. The jury appreciated the poetic metamorphosis of a rather undefined public space in the historic city center of Berlin into an activated urban landscape. 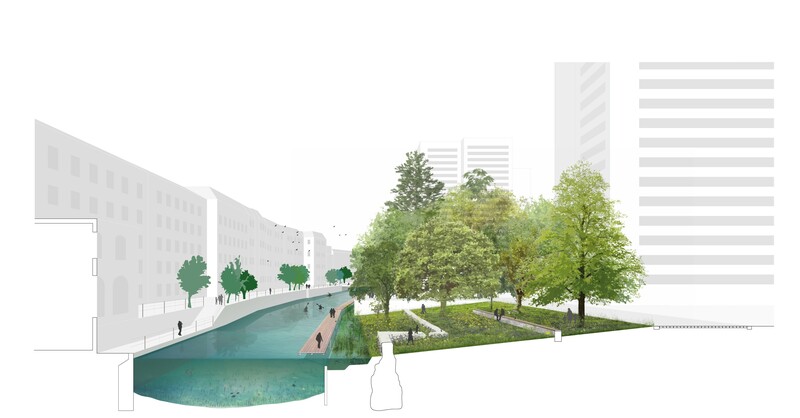 The project will transform the Kupfergraben Canal, an underutilized arm of the River Spree, into a natural, self-cleaning body of water. 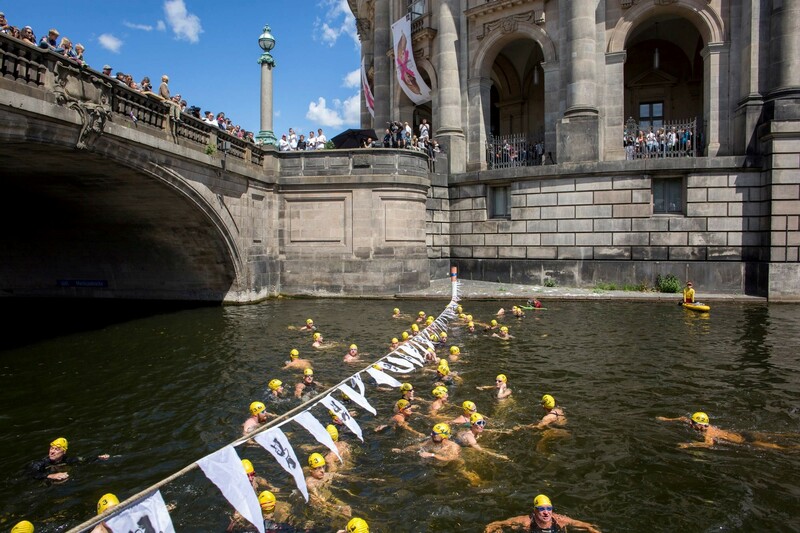 Along this 750-meter stretch by the Museum Island, people will be able to walk, bike, swim, or just relax. The Flussbad is more than just a big swimming pool. 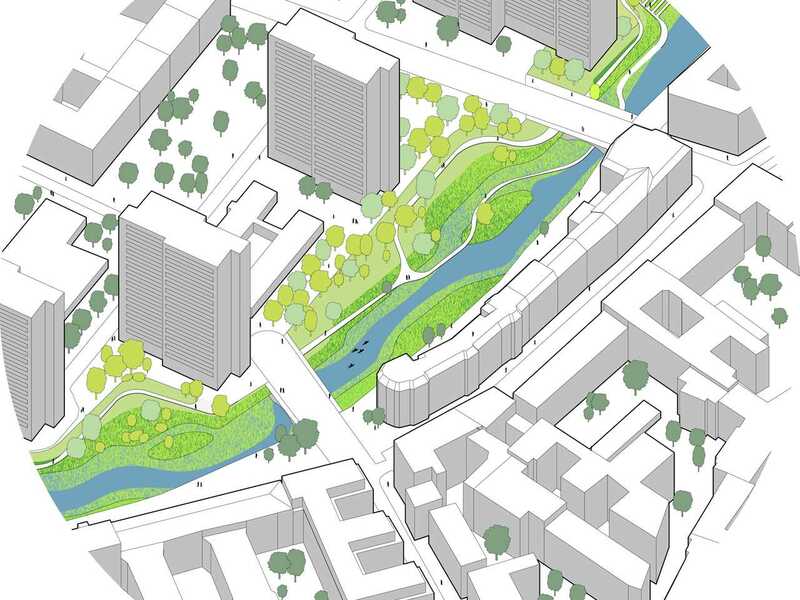 It proposes a playful amenity on a site that is culturally and politically loaded. The existing conglomeration of museums will be enriched with this simple but atmospheric gesture that provides a public urban recreational space both for residents and tourists. 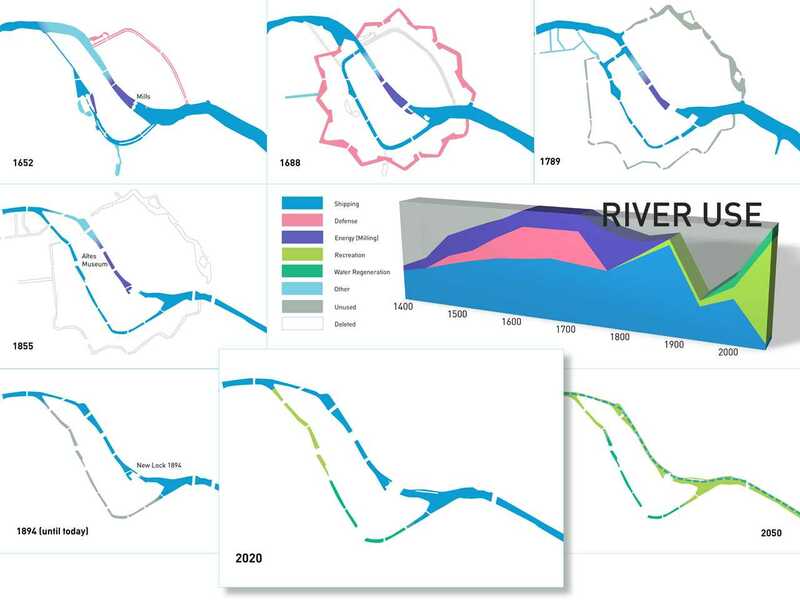 The strength of this project is that it rightfully questions the ownership of the river, which is today exclusively used for shipping and drainage, and never for public activities. 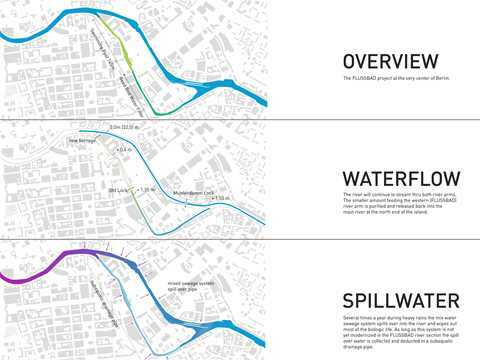 The architects have proposed necessary changes in the waste water system along this reach of the river as well as the creation of an ancillary bypass canal and a filter basin of plants in the upper segment of the canal. 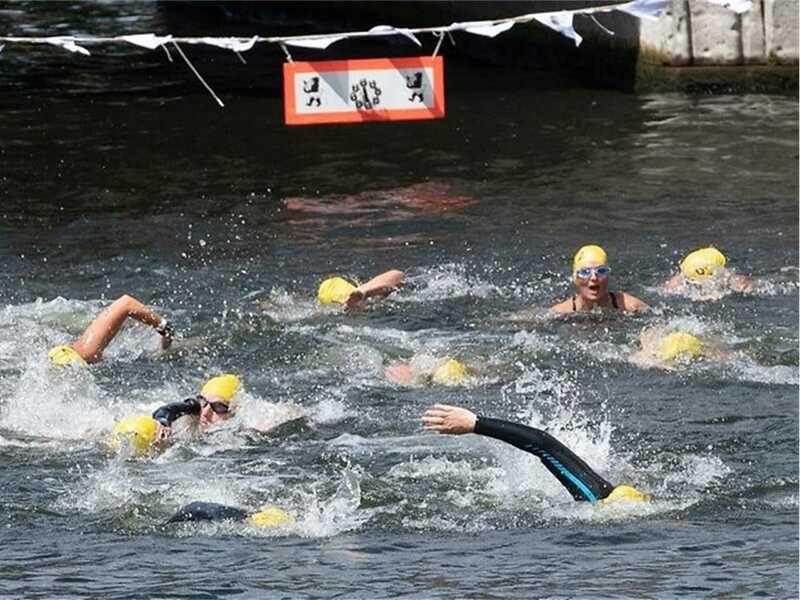 In combination, these changes will improve the water quality of this part of the Spree to meet the standards necessary for swimming. 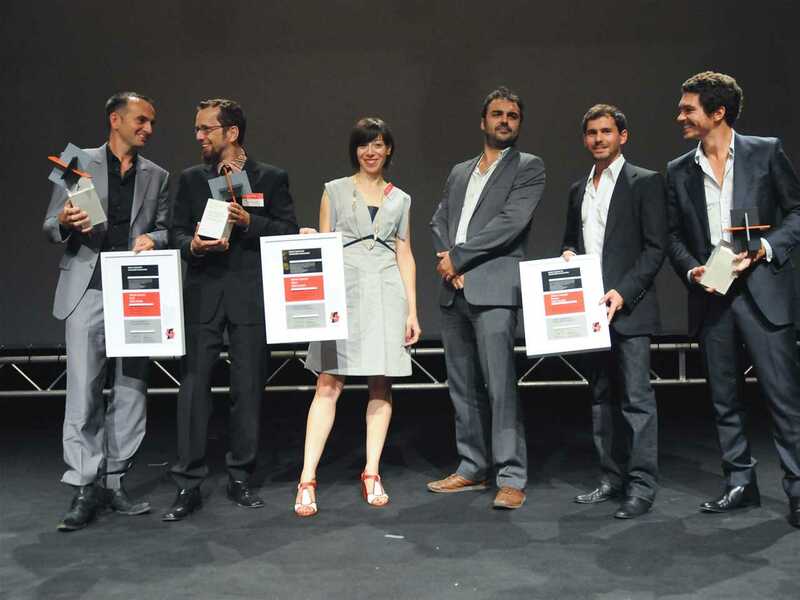 In addition to its ecological and public benefits, the jury also appreciated its symbolic power. It sets a strong example for sustainable water use, wastewater management, and how these issues can be coupled with the continued urban development of the UNESCO World Heritage listed historic center of Berlin. 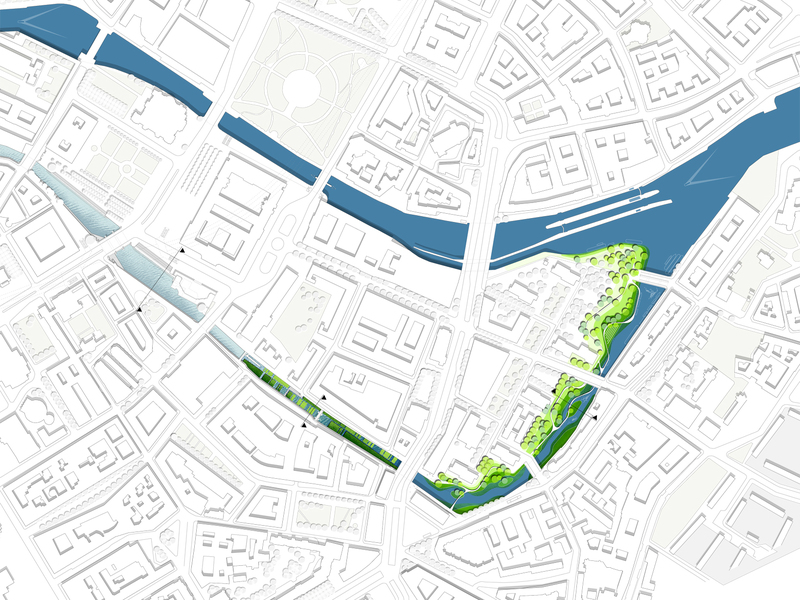 The Flussbad will have a direct and strong impact on the quality of urban life and will make a positive ecological contribution through the remediation of the city’s waterways. The jury commended this project because it is a convincing example of what could be achieved with challenging densely built inner city areas having a rich tradition and a stock of important heritage buildings, but where the needs of the public have been neglected over decades. The result will be a comprehensive recapture of a large waterway and its riparian fringe by the citizens, one of the most important attempts towards sustainable urban life. 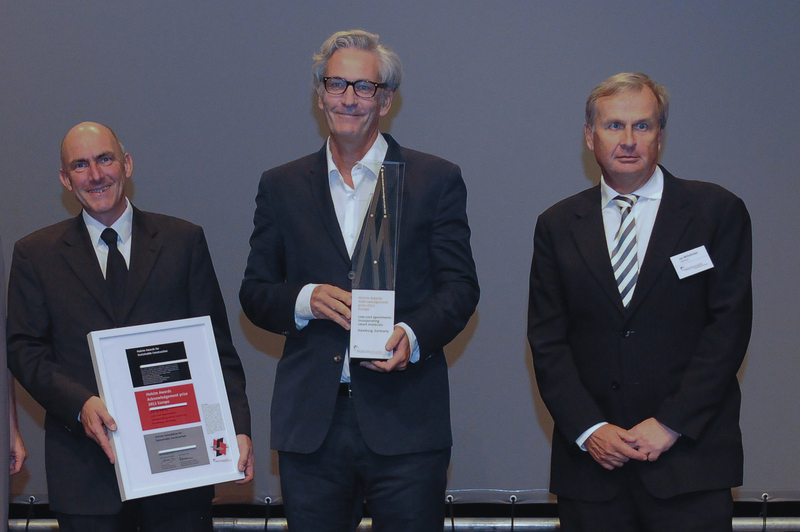 A remarkable number of projects by German authors including the Flussbad project were prize-winners in the third International Holcim Awards competition. 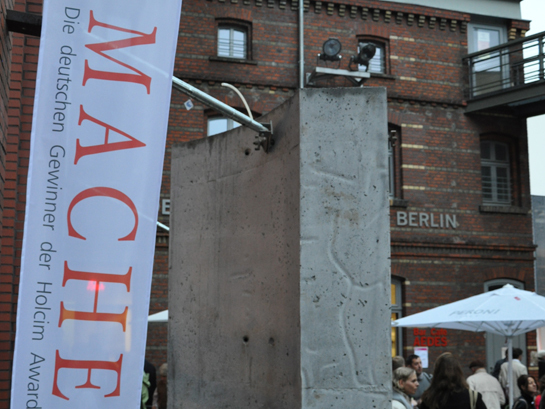 As a result, a six-week exhibition, “MACHEN! 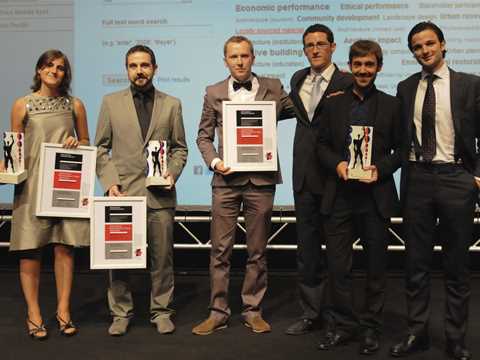 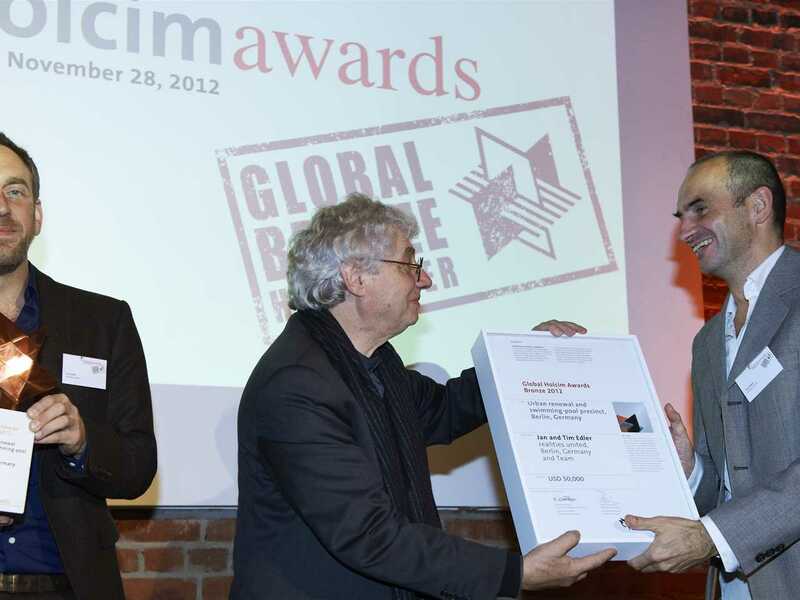 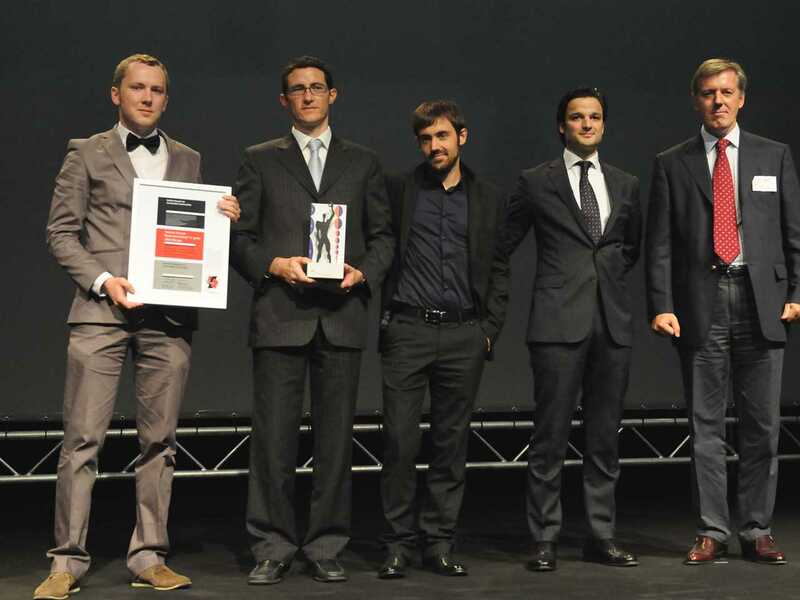 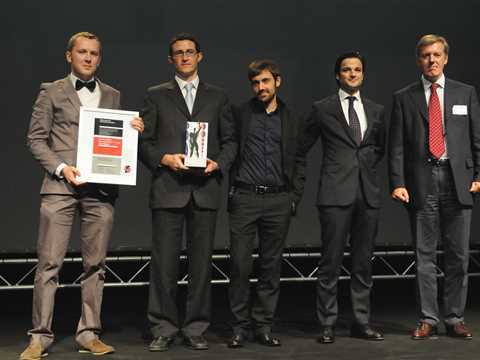 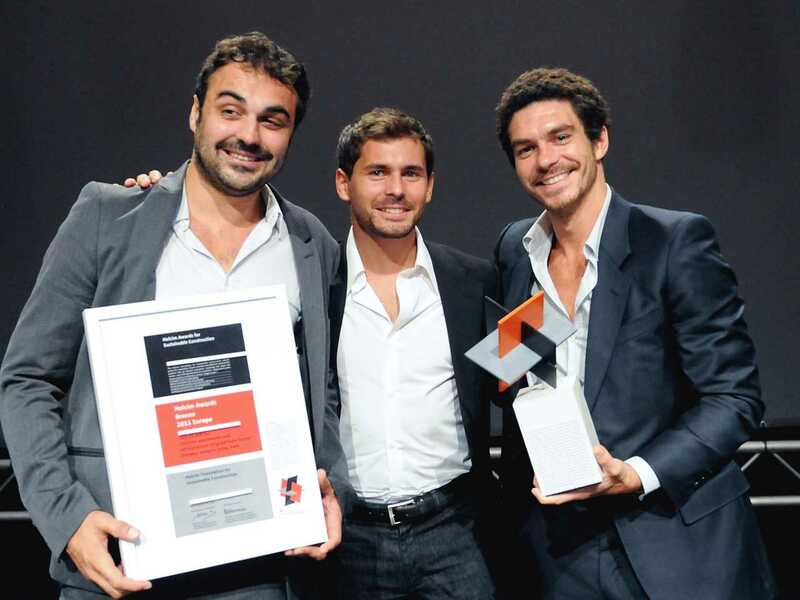 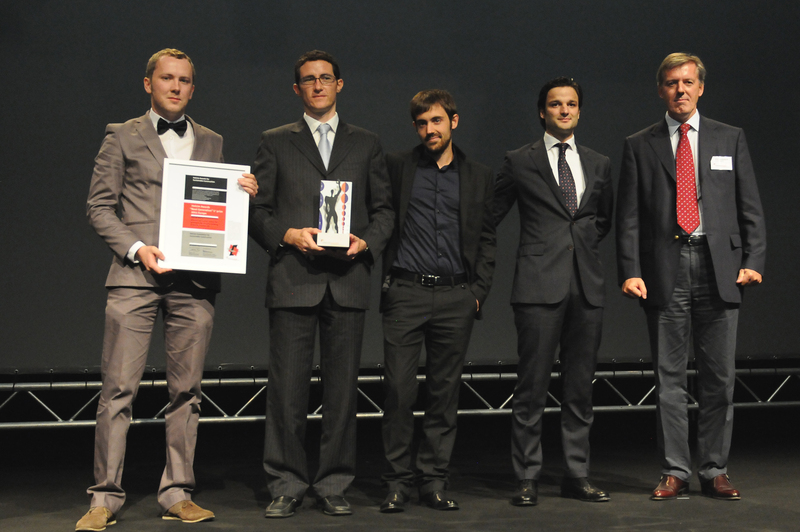 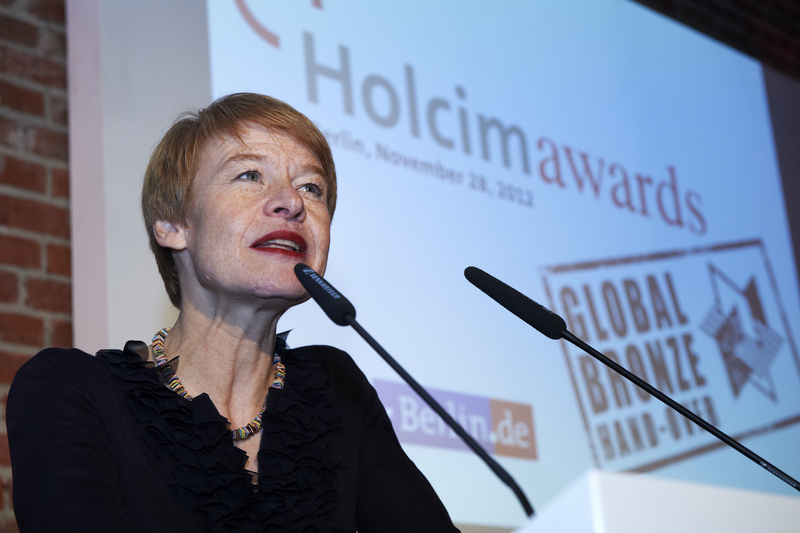 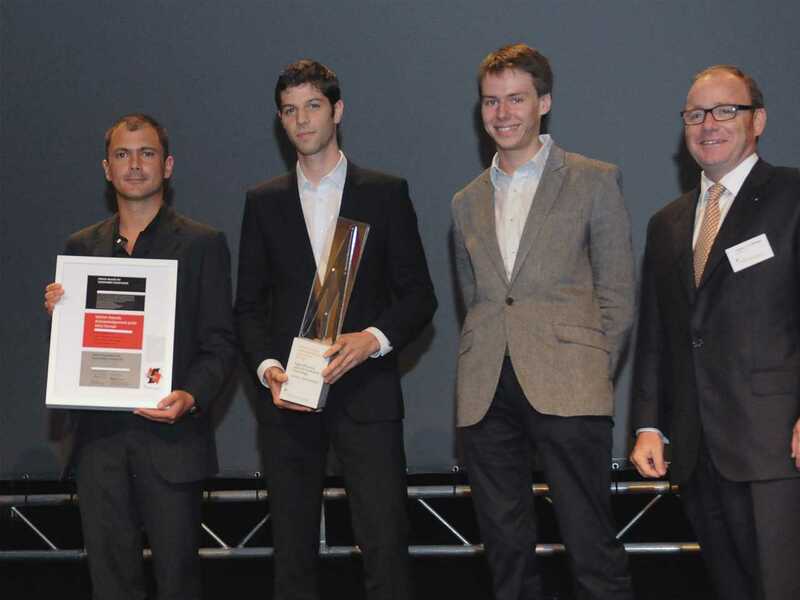 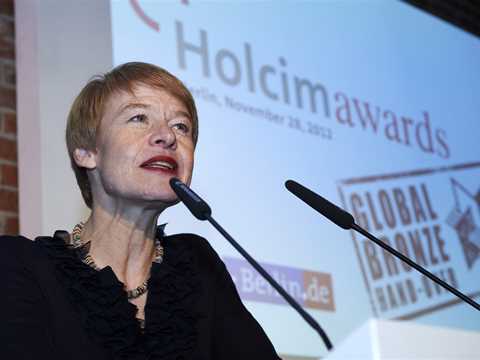 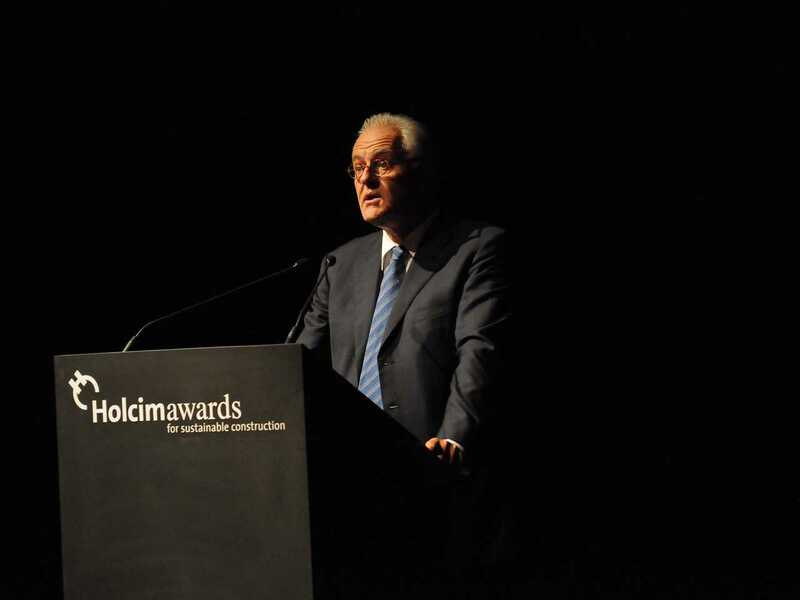 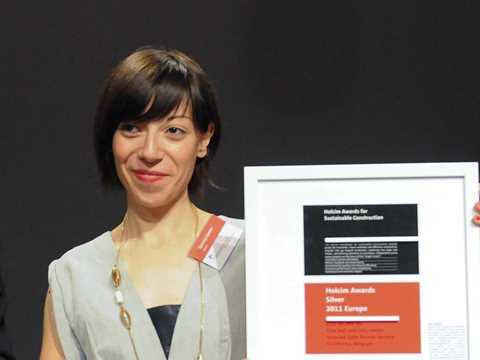 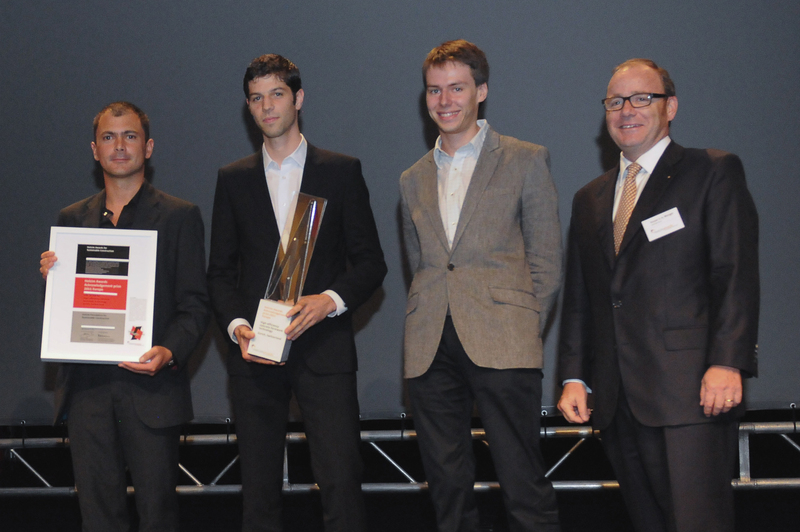 The German winners of the Holcim Awards 2011/12” was held at the Aedes Architekturforum in Berlin. 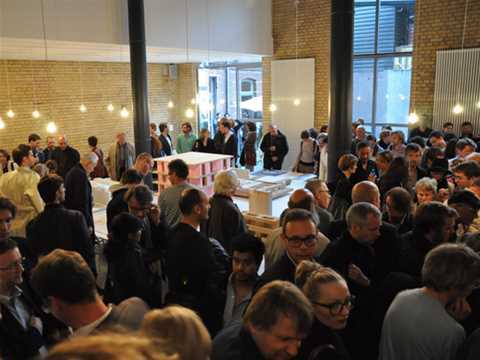 The exhibition attracted some 5,000 visitors – and also included three panel discussions by the prize-winning project teams on the themes of (re)building the city to allow the coexistence of different lifestyles; using the entire spectrum of materials; as well as rediscovering and modernizing traditional architectural techniques. 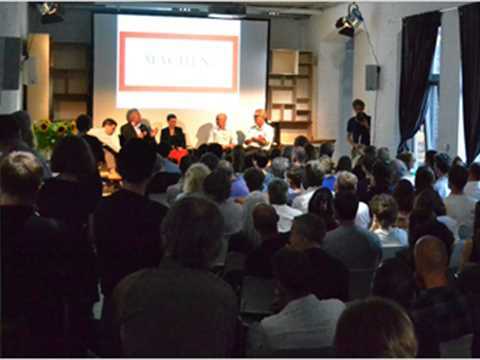 Savoir Vivre: How to use the city for (re) building so that it allows for different lifestyles, was the opening discussion in the series and featured Matthias Sauerbruch of Sauerbruch Hutton (Holcim Awards Acknowledgement 2011 prize winner) as well as the Flussbad project’s Jan Edler and Tim Edler of realities:united. 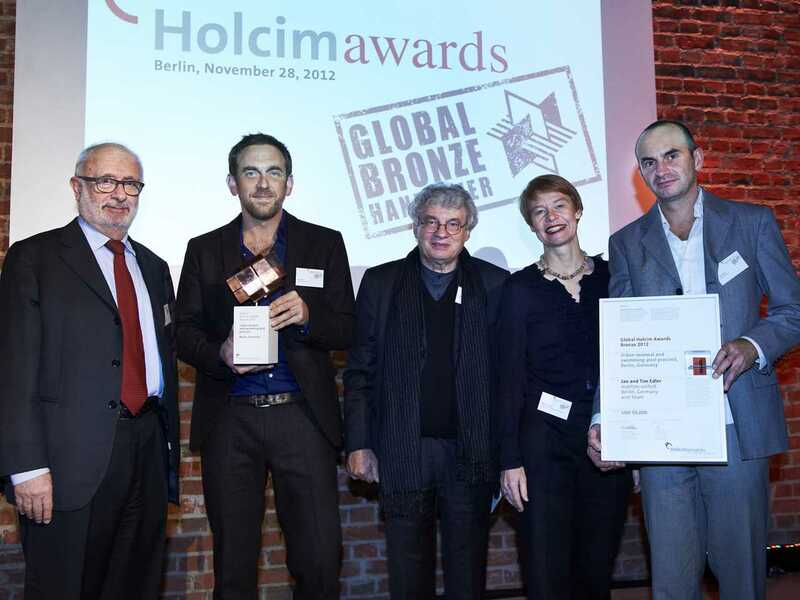 An urban plan for transforming an under-utilized arm of the River Spree in Berlin into a natural 745m-long “swimming pool” won the Global Holcim Awards Bronze 2012. 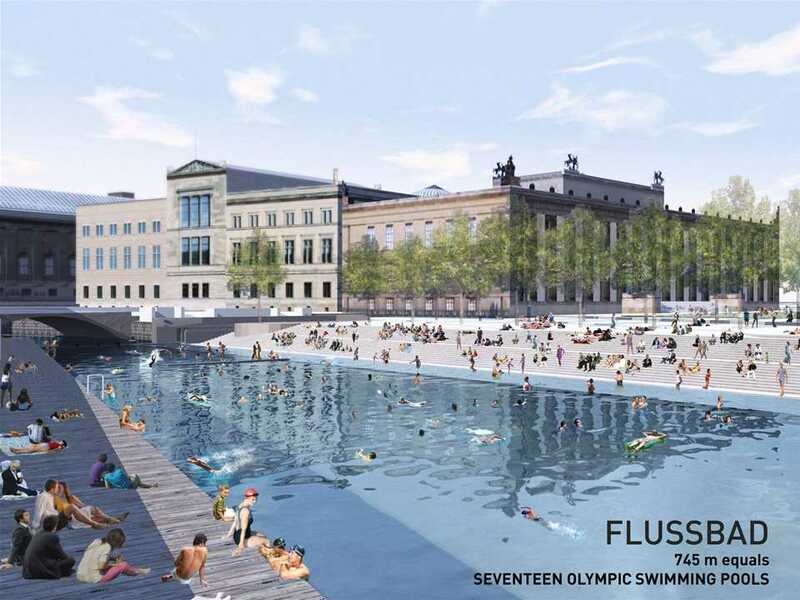 The Flussbad project in the heart of the historic city creates a swimming zone equivalent to 17 Olympic-sized pools, and provides a public urban recreation space for both residents and tourists adjacent to the Museuminsel and was developed by a team led by architects Jan and Tim Edler of realities united, Germany. An urban plan which transforms an under-utilized arm of the River Spree in Berlin into a natural 745m-long “swimming pool” won the top prize of USD 100,000. 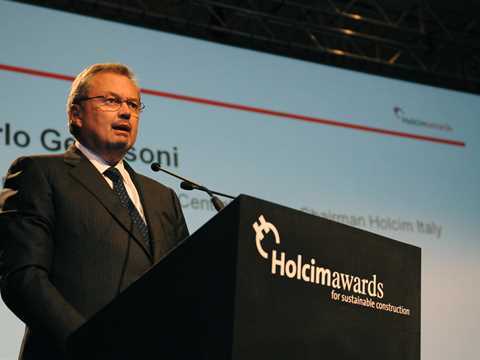 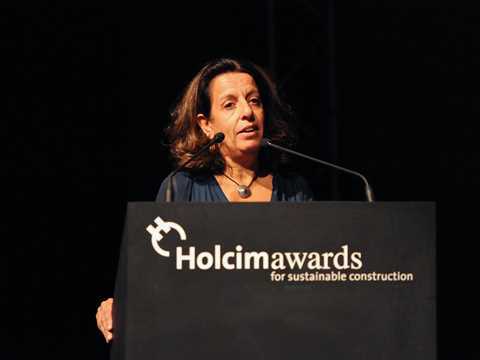 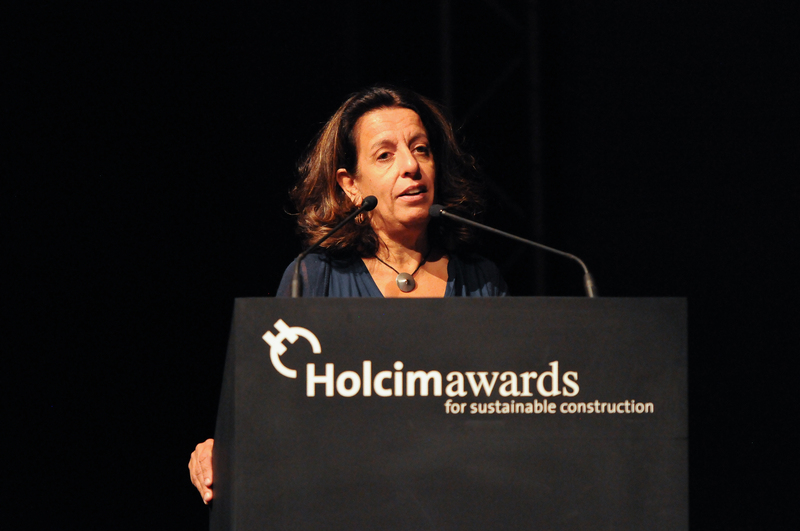 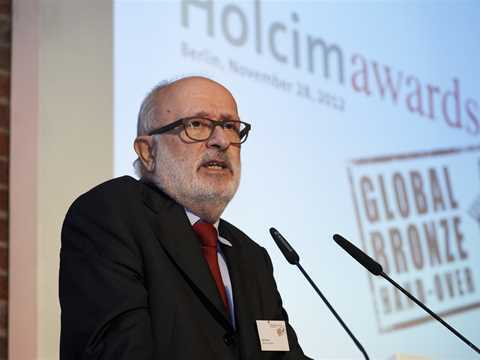 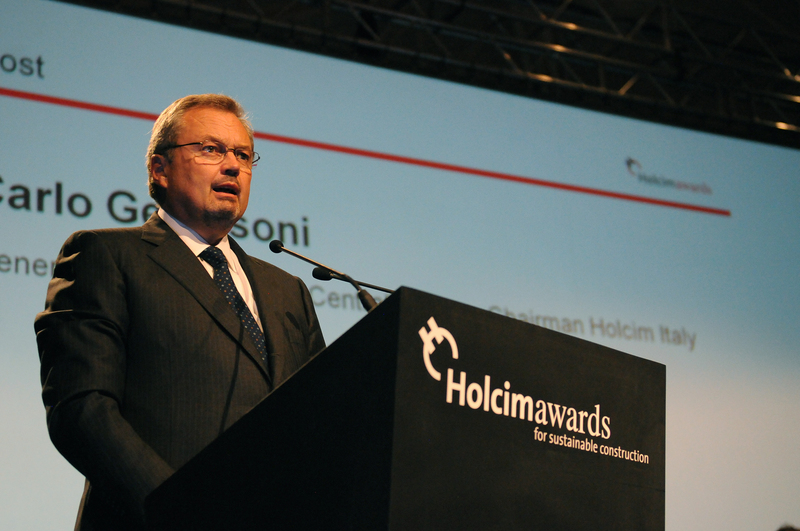 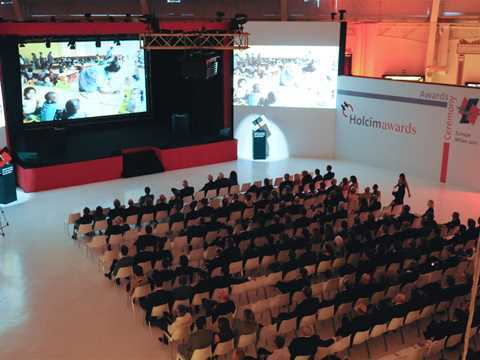 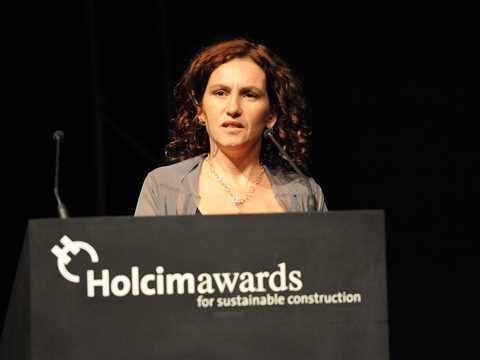 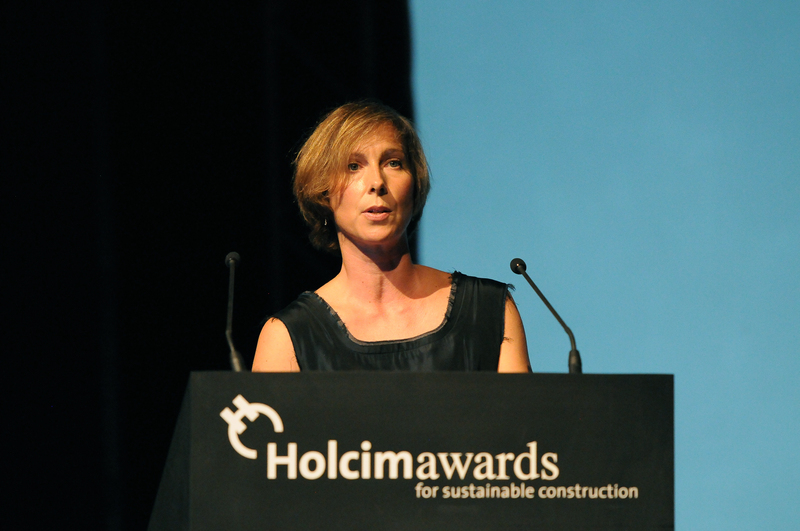 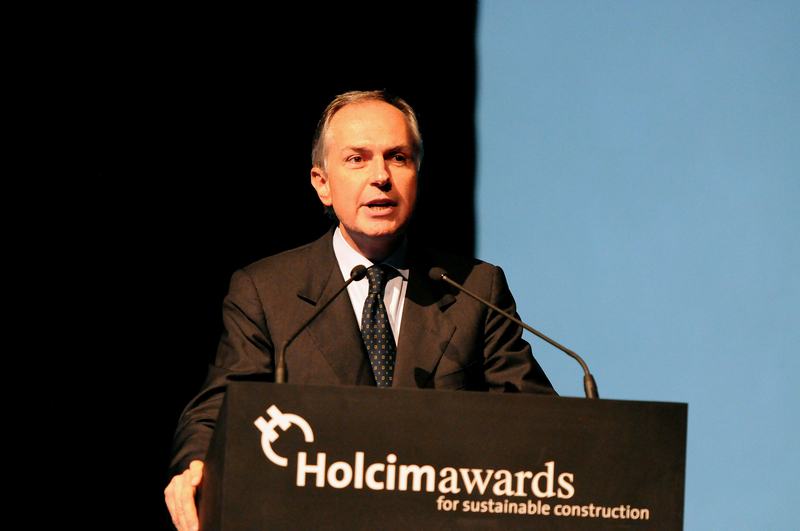 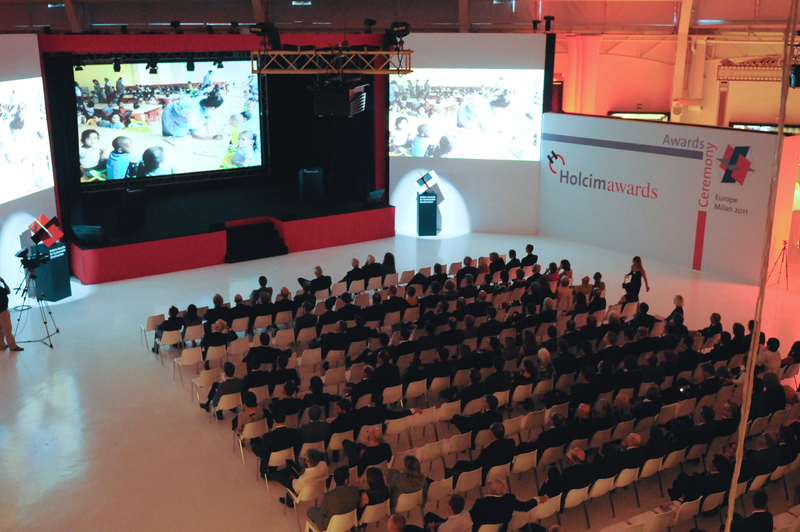 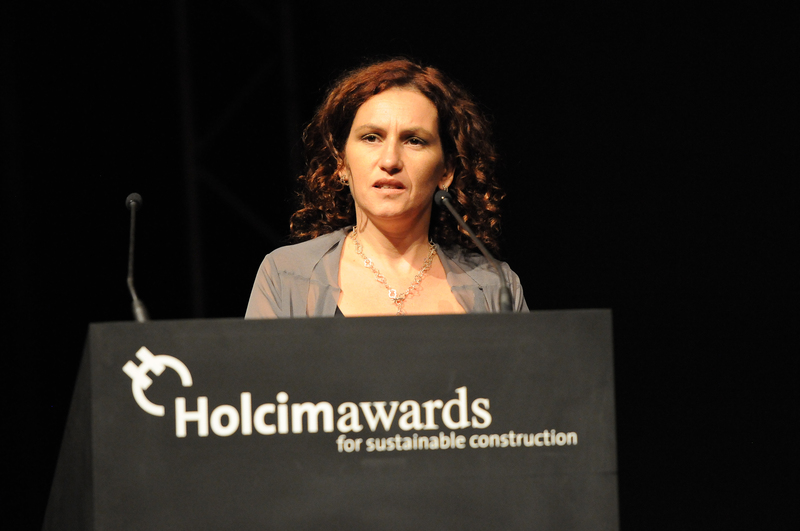 The winners of the 3rd International Holcim Awards competition for sustainable construction projects and visions from across Europe were announced at a ceremony in Milan. 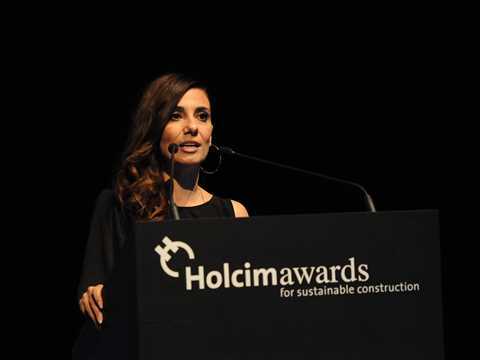 A total of USD 300,000 was presented to ten outstanding projects submitted by architects, planners, engineers and project owners. 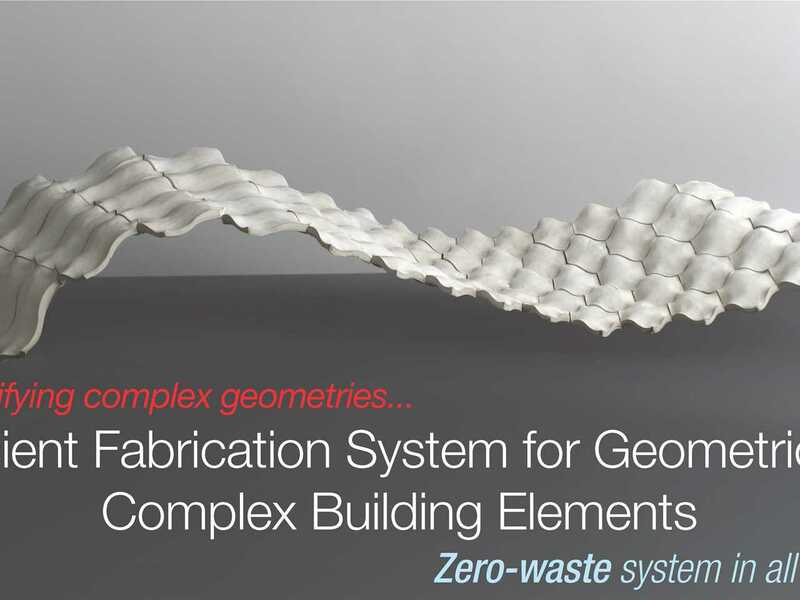 The winning projects show the wide range of approaches in the region to sustainable construction that respond both to intensified urbanization and innovation in building materials and construction techniques. The jury commended this project due to its direct and very strong impact on the quality of urban life in an area of Berlin which has been previously overlooked. 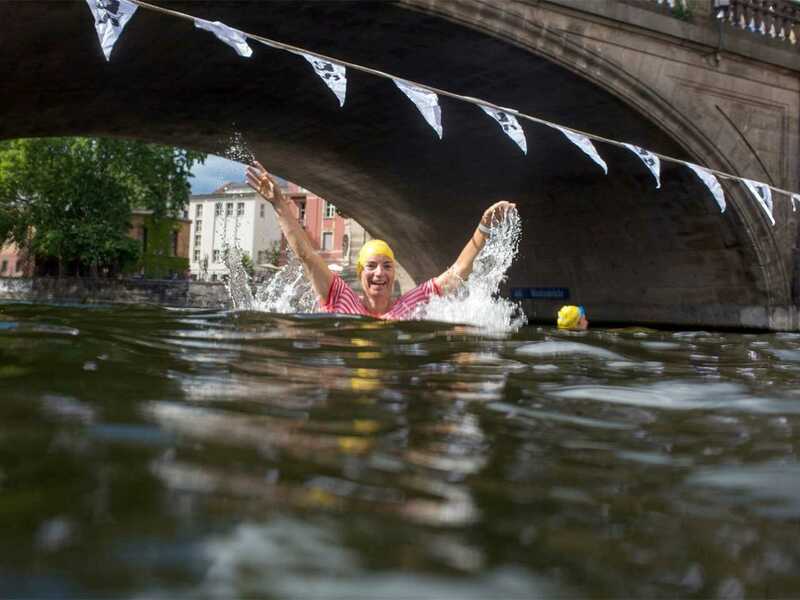 The project questions the ownership of the river itself that is currently used exclusively for shipping and drainage purposes but not for public activities. The idea of providing a public facility is convincing, feasible and easily transferable. The Flussbad project is located in the center of Berlin and transforms an unused arm of the River Spree into a natural 745m “swimming pool”. 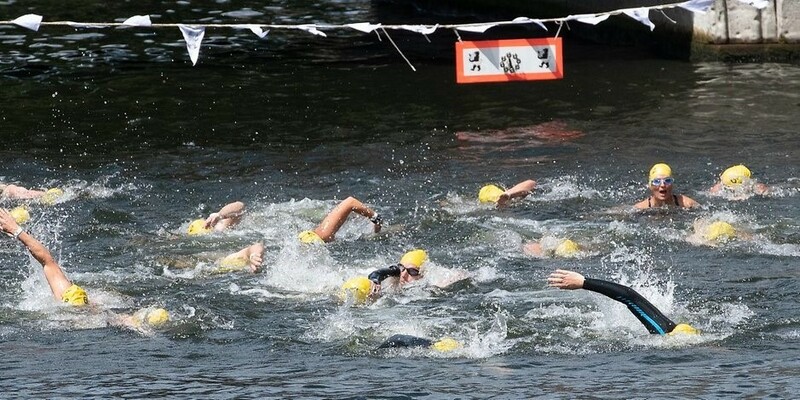 The facility is the equivalent of seventeen Olympic swimming pools with an average width of 28.8m, water depth around 2.2m, and features a 780m-long reed bed filtration system. The renewal concept for the 3.9ha site is as invigorating and hypothetical as it is realistic and simple in design. 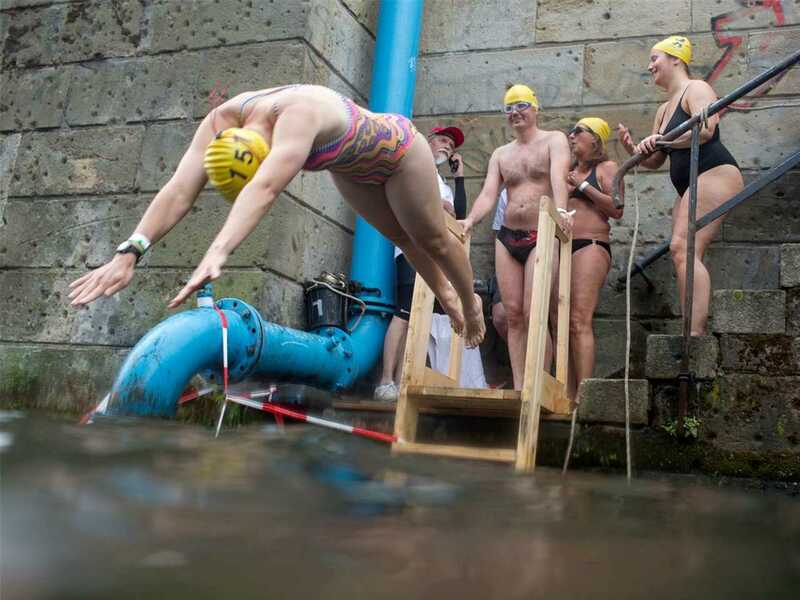 Parts of the Lustgarten Quay wall are converted into generous stairs providing access to the swimming pool, with functional lockers and change rooms integrated unobtrusively into the terrain. 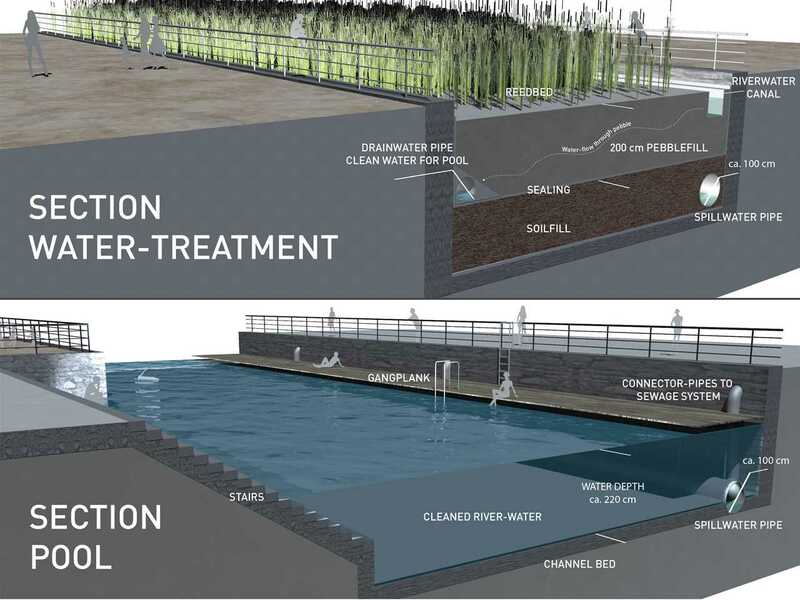 Water entering the upper section of the river arm is purified through a 1.8ha reed bed natural reserve with sub-surface sand bed filters. A barrage at the lower end of the system prevents the backflow of unfiltered water from the main body of the river, and overflow outlets for city’s mixed sewage network are channeled beneath the system. Since the fall of the Berlin Wall in 1989, the precinct has experienced a 75% increase in resident population and parallel loss of vacant space. 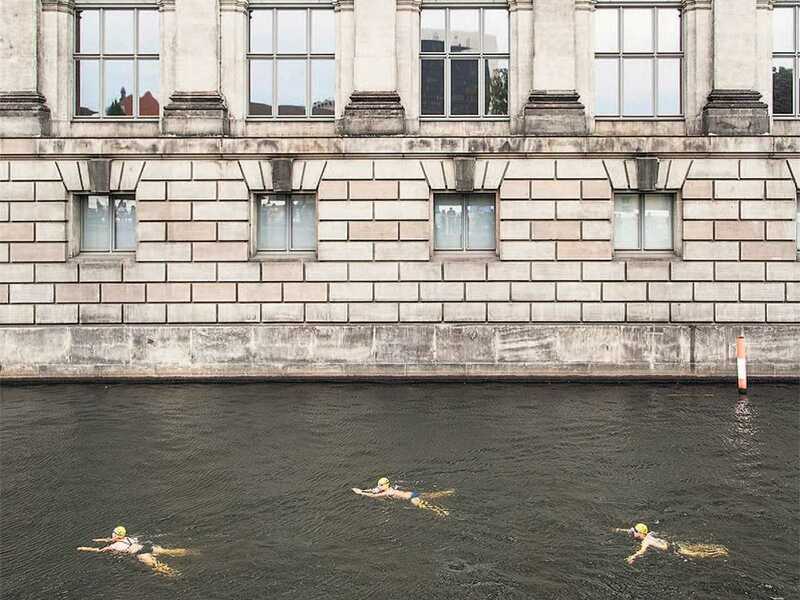 The Flussbad right in the heart of Berlin’s historic city center on an unused river arm provides a public urban recreation space for both, residents and tourists adjacent to the UNESCO World Heritage site, Museuminsel (Museum Island).